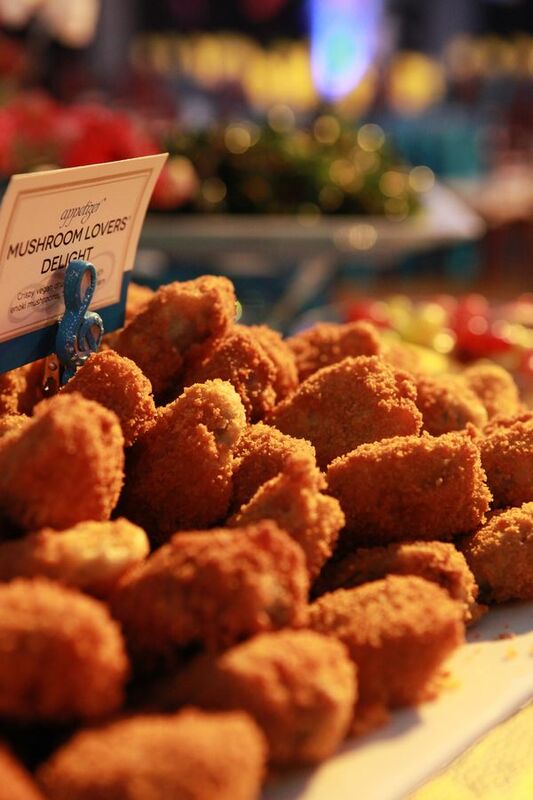 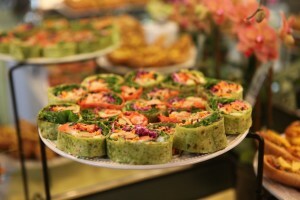 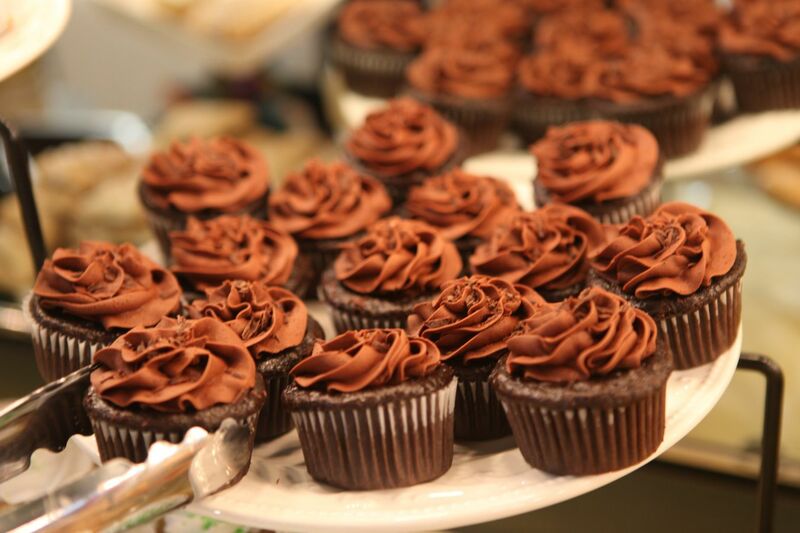 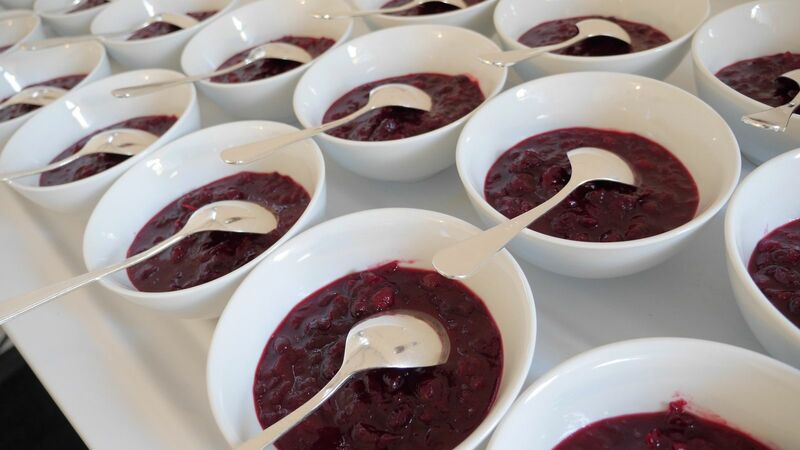 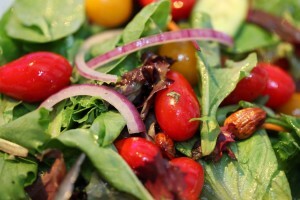 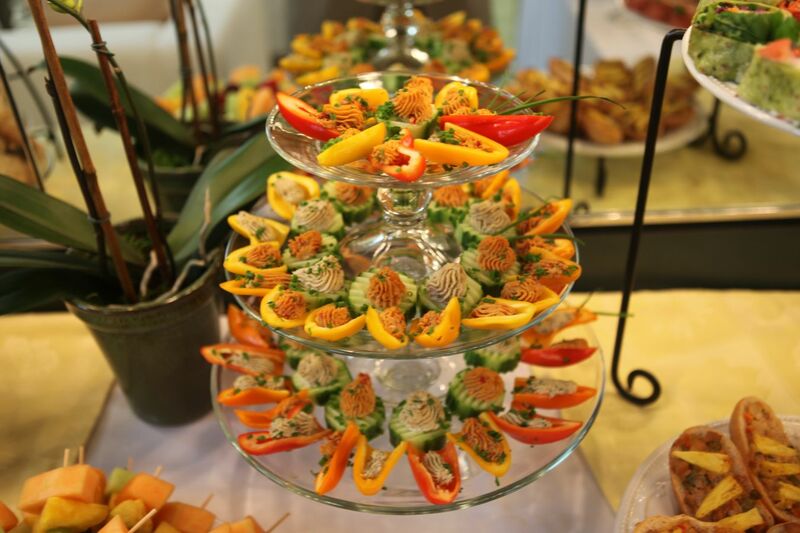 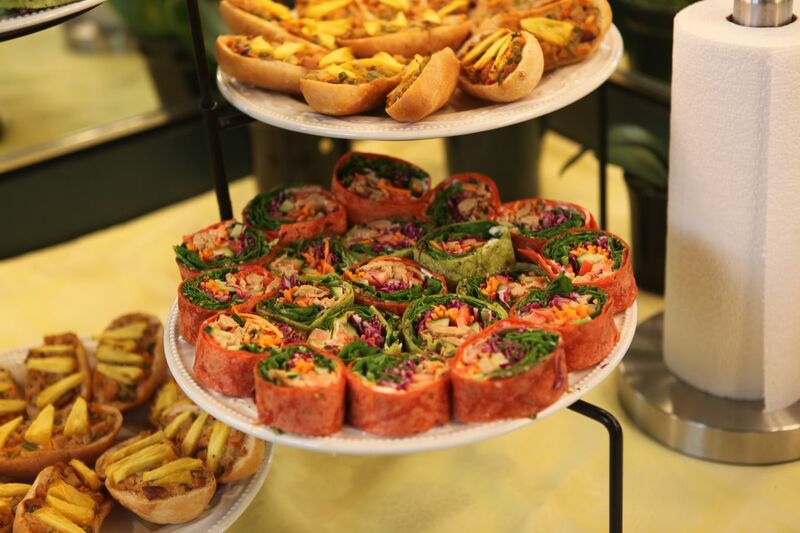 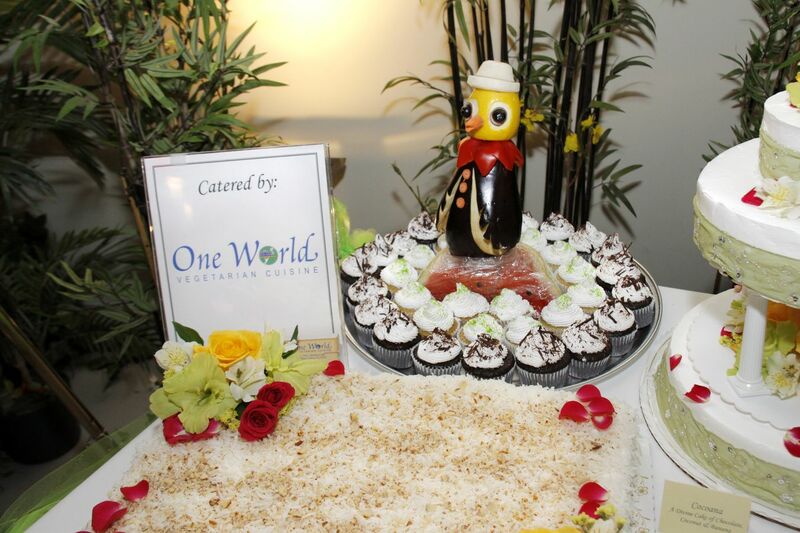 Catering Gallery › One Veg World ‹ Be Vegan, Make Peace! 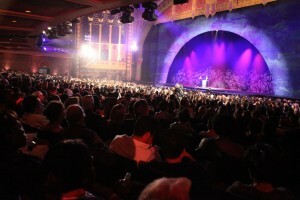 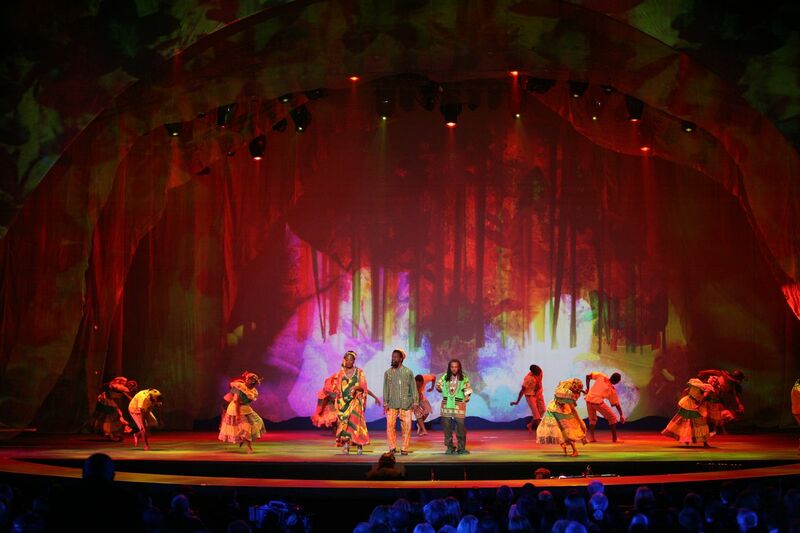 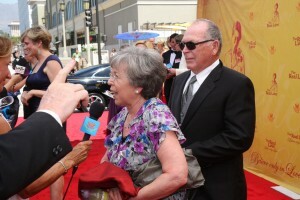 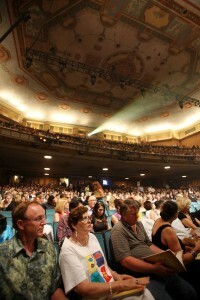 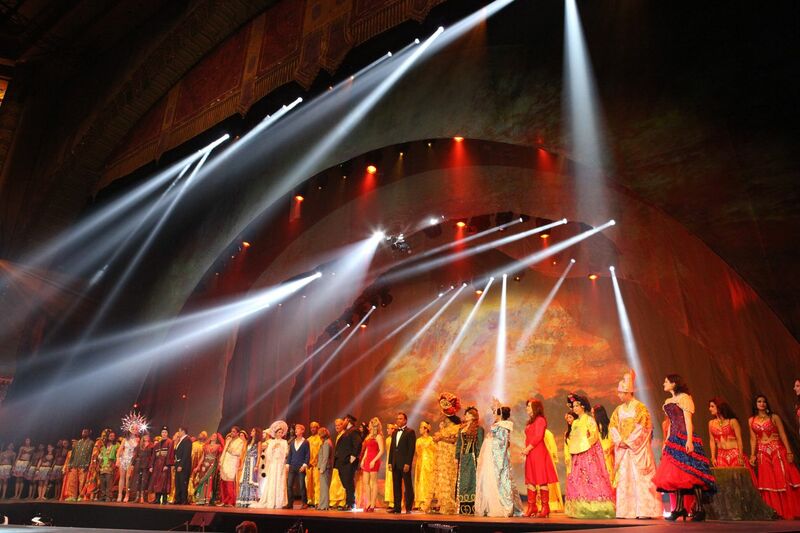 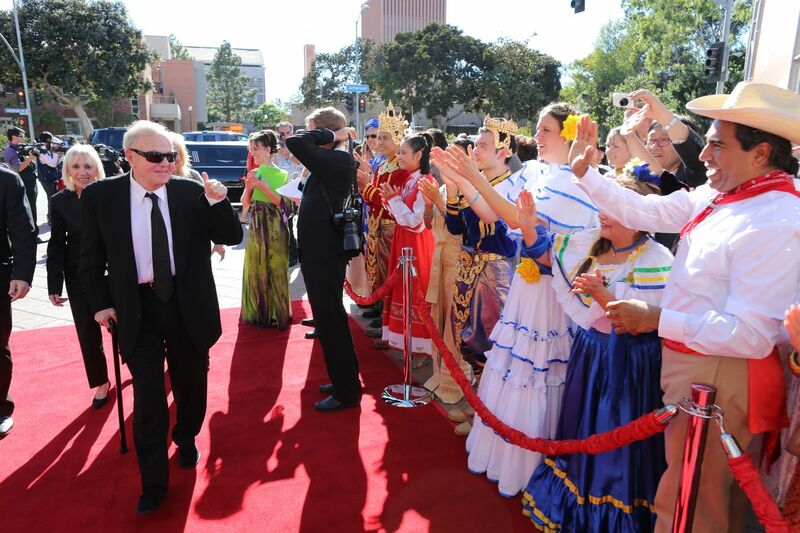 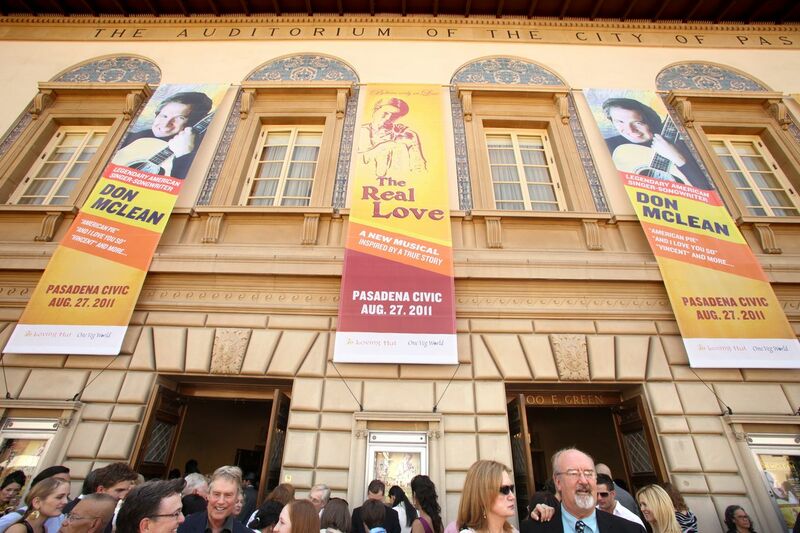 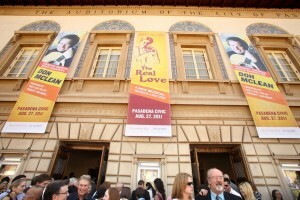 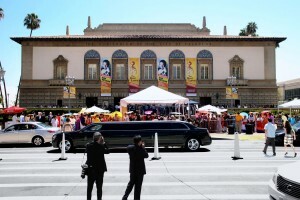 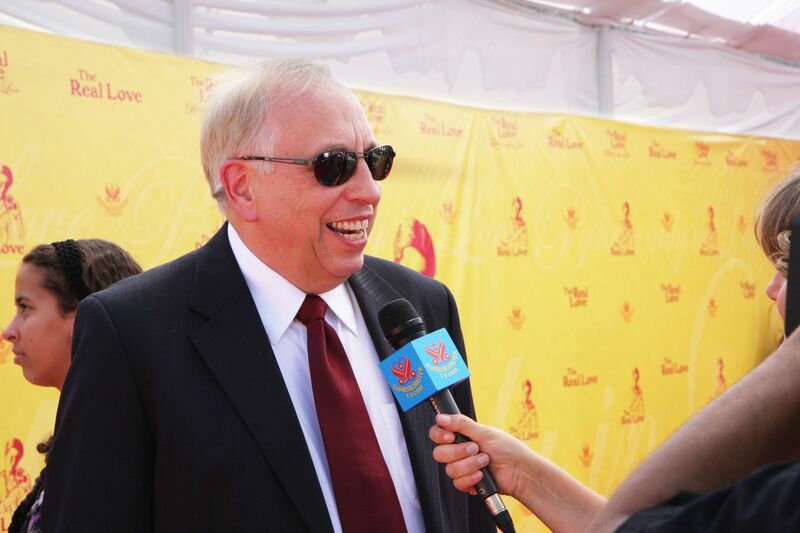 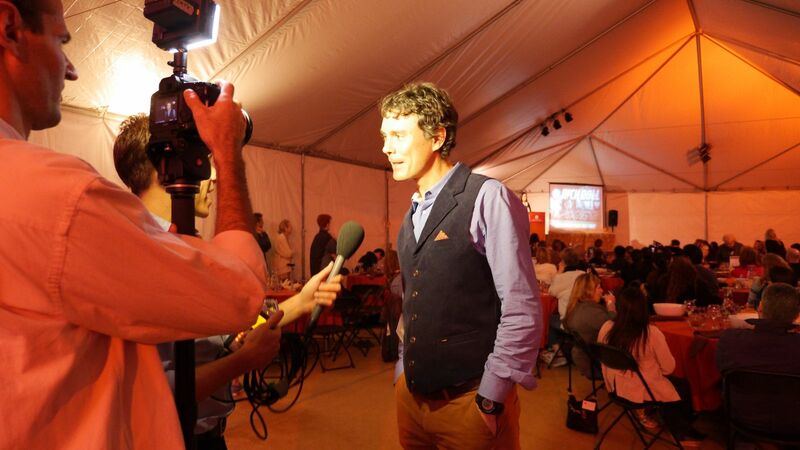 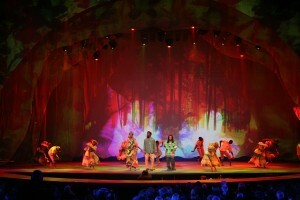 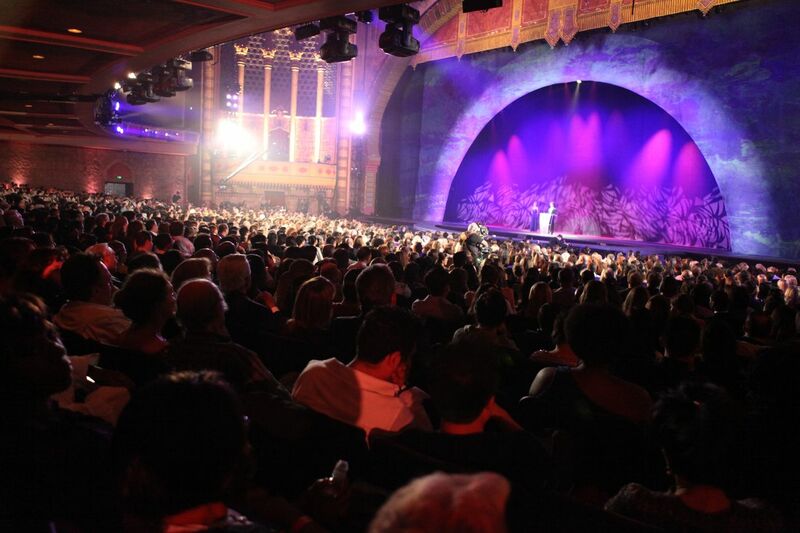 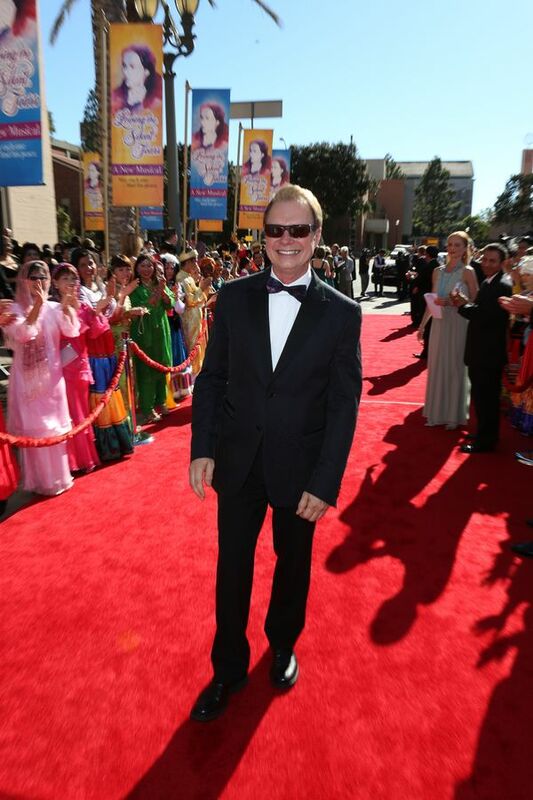 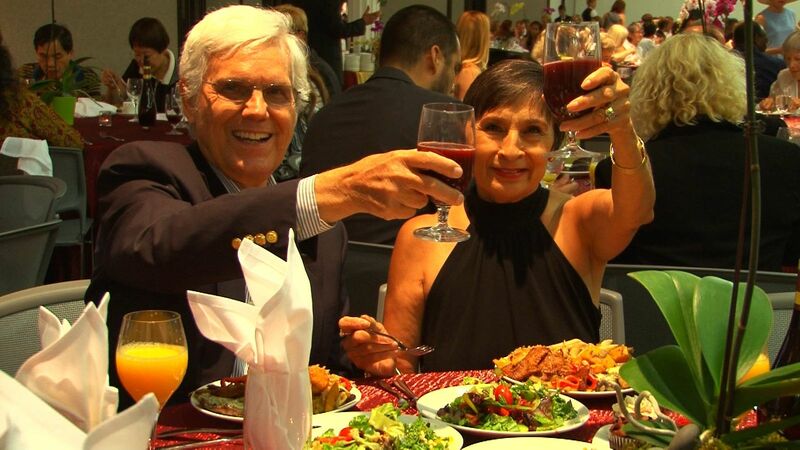 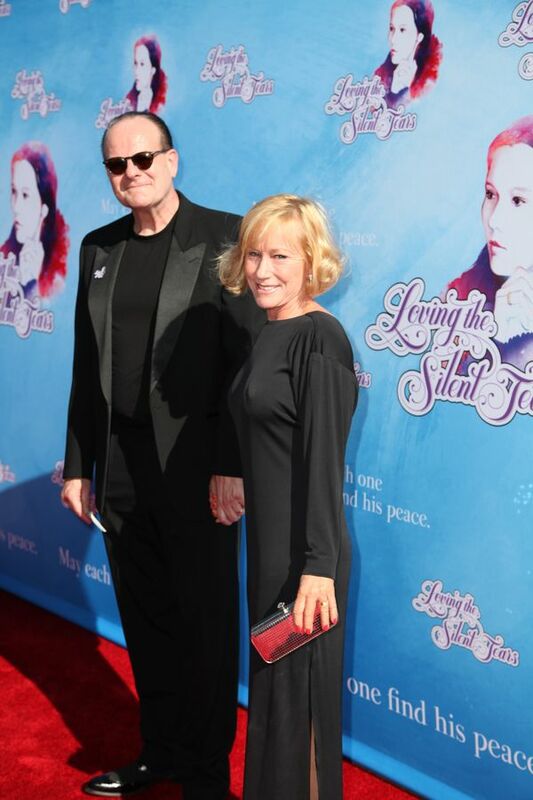 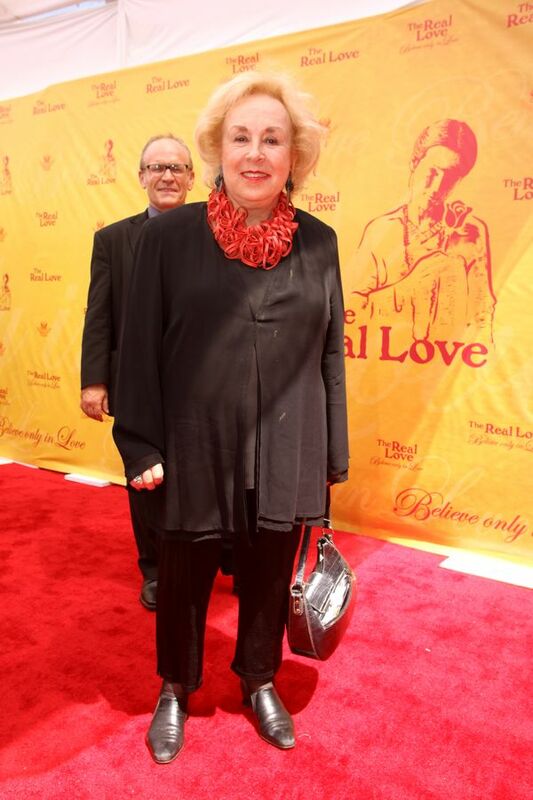 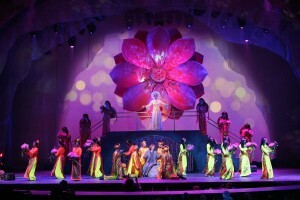 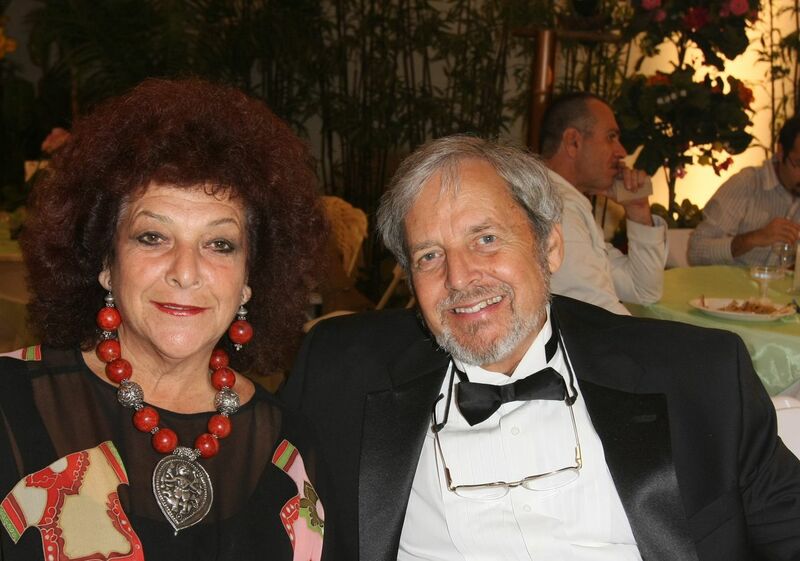 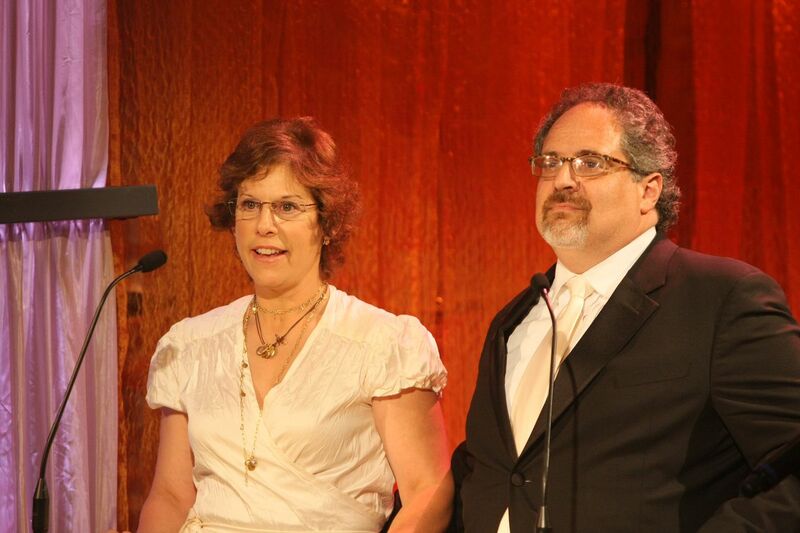 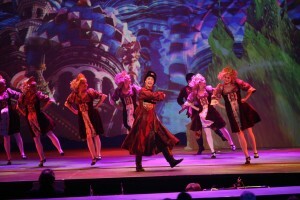 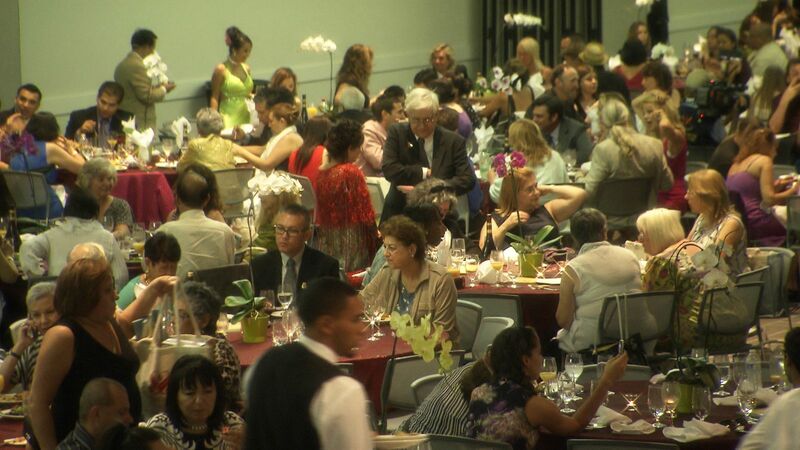 One Veg World catered for the Hollywood red carpet premiere of “Loving the Silent Tears: The Musical,” attended by over 6,000 people at L.A.’s famous Shrine Auditorium. 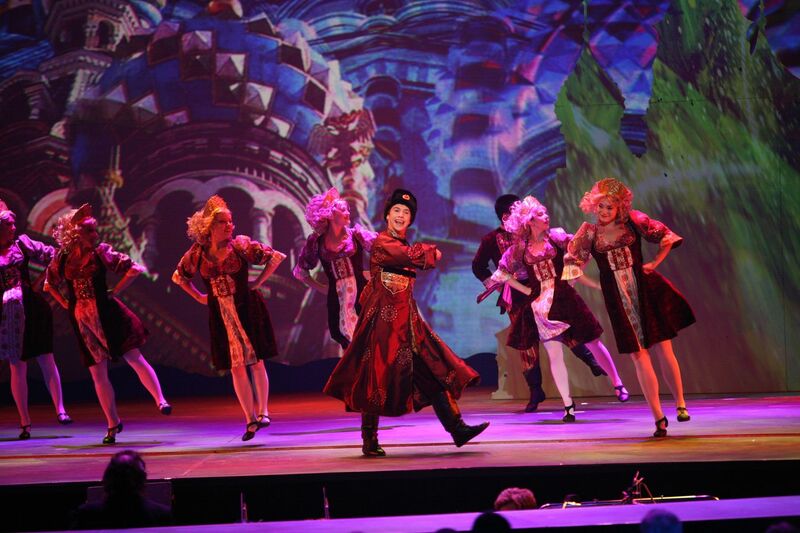 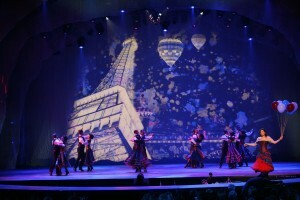 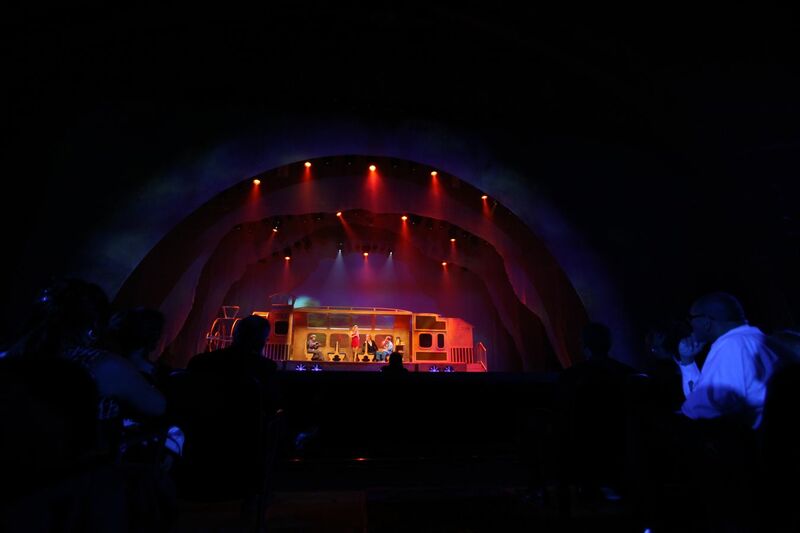 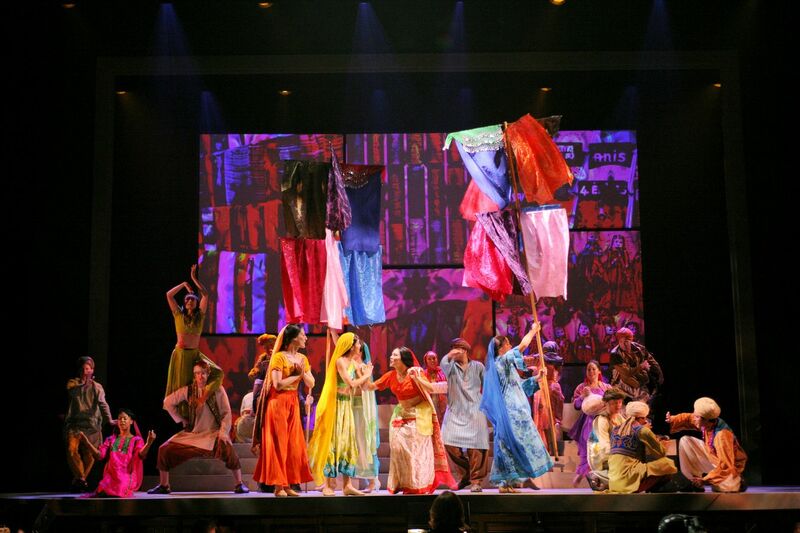 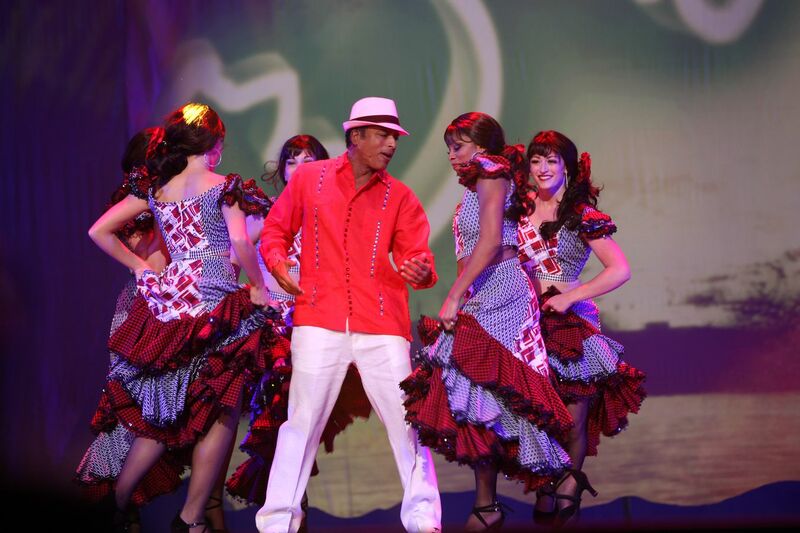 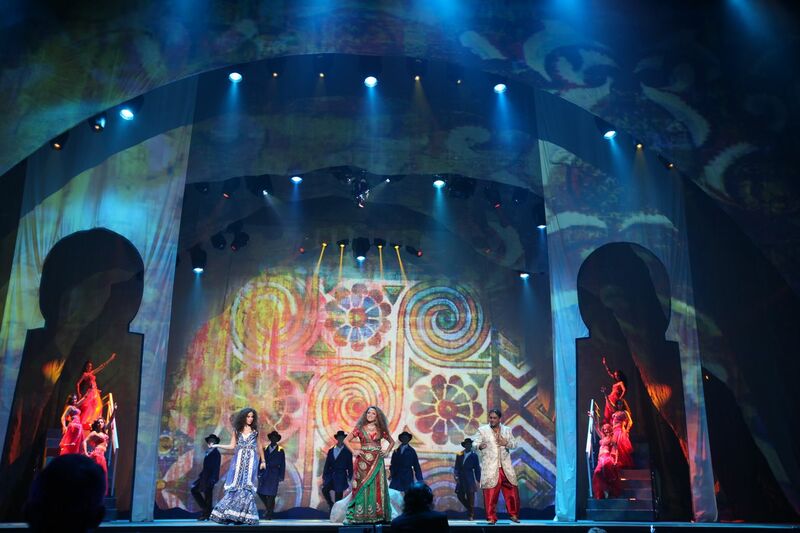 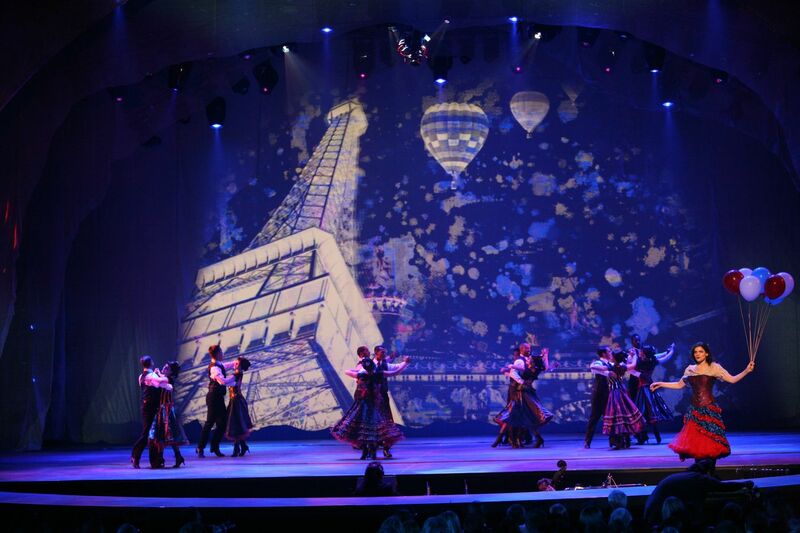 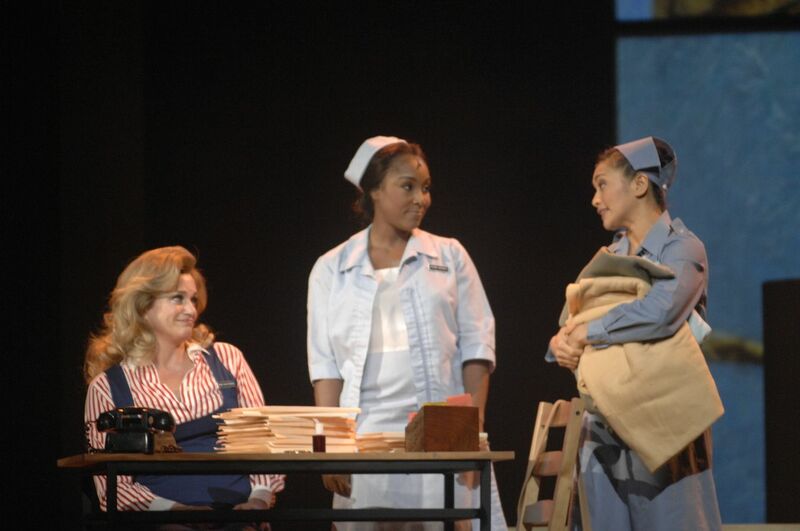 This world-class show was directed by Tony nominee Vincent Paterson (director/choreographer of Michael Jackson’s and Madonna’s world tours) and choreographed by Emmy winner Bonnie Story (“High School Musical” 1, 2, and 3). 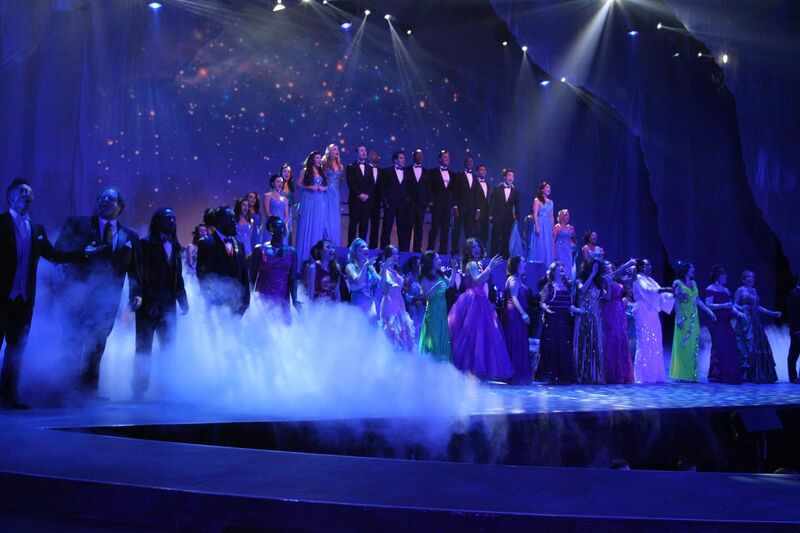 There were so many stars! 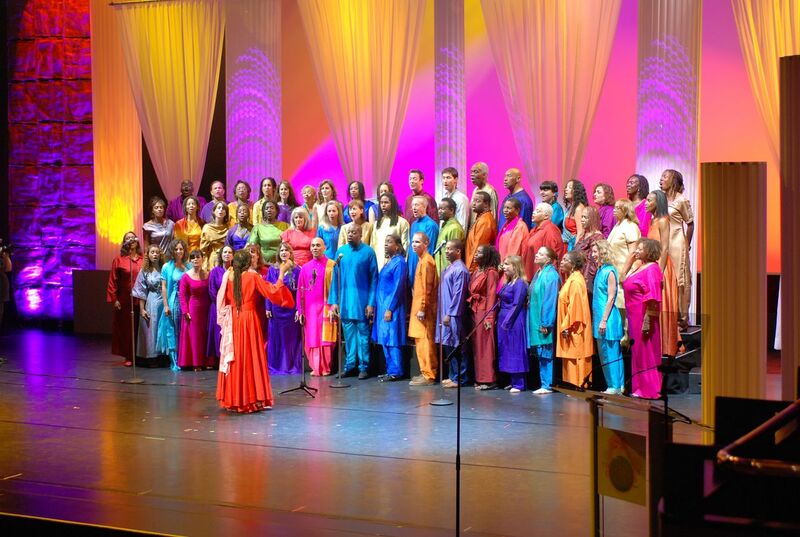 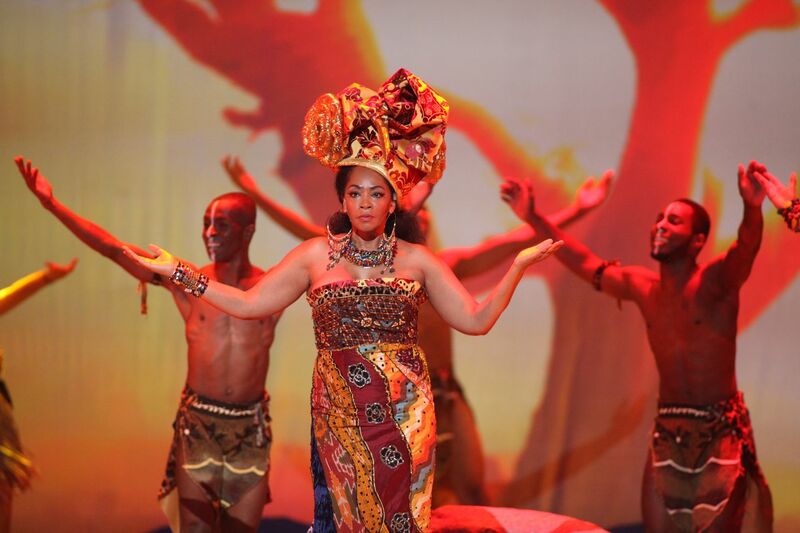 2-time Grammy winner Jon Secada, Grammy winner Jody Watley, Grammy-winning reggae band Black Uhuru, Chinese pop star Kay Tse, and Tony-winning Broadway star Debbie Gravitte, to name a few. 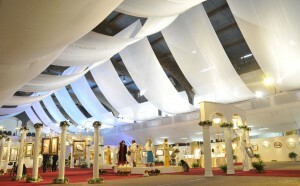 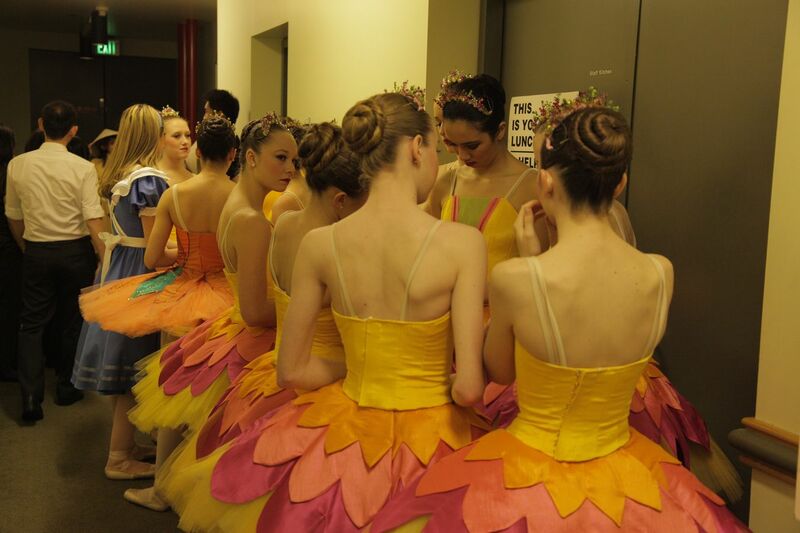 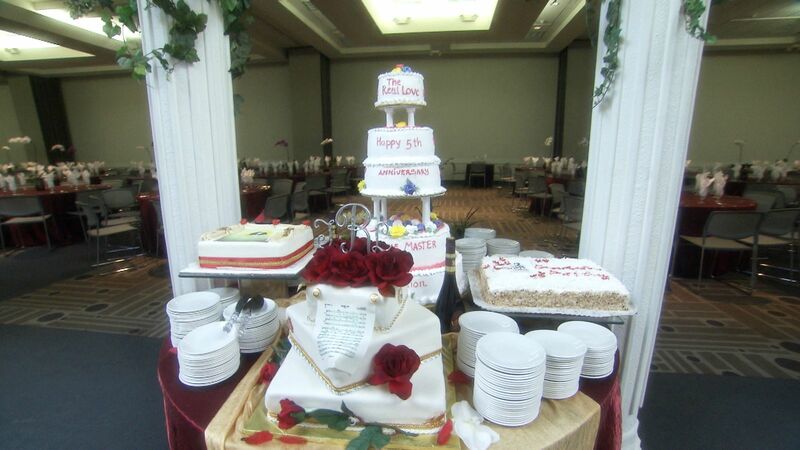 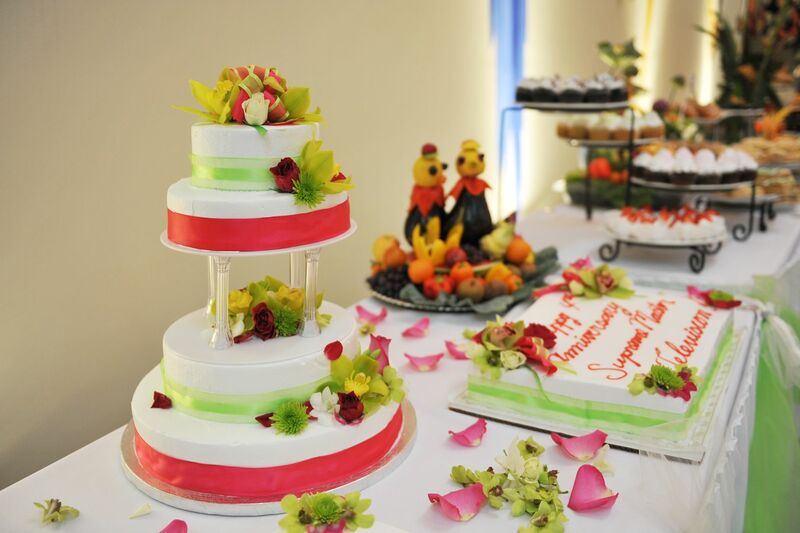 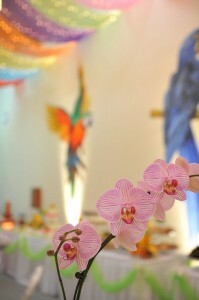 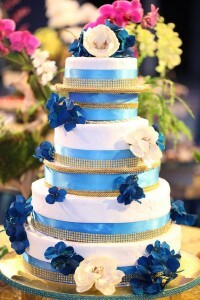 An unforgettable, glamorous, and heartwarming celebration. 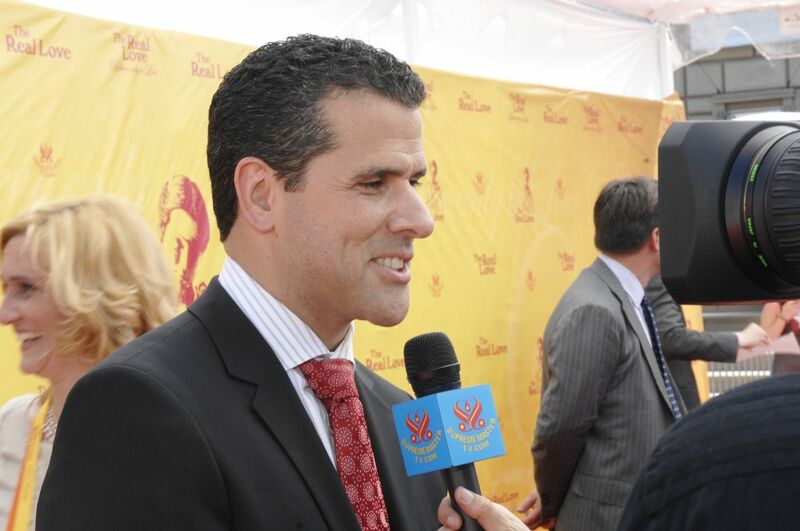 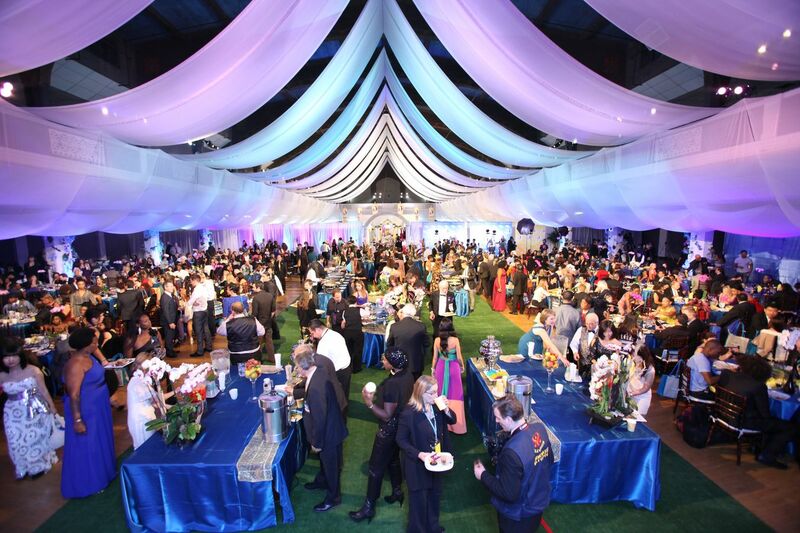 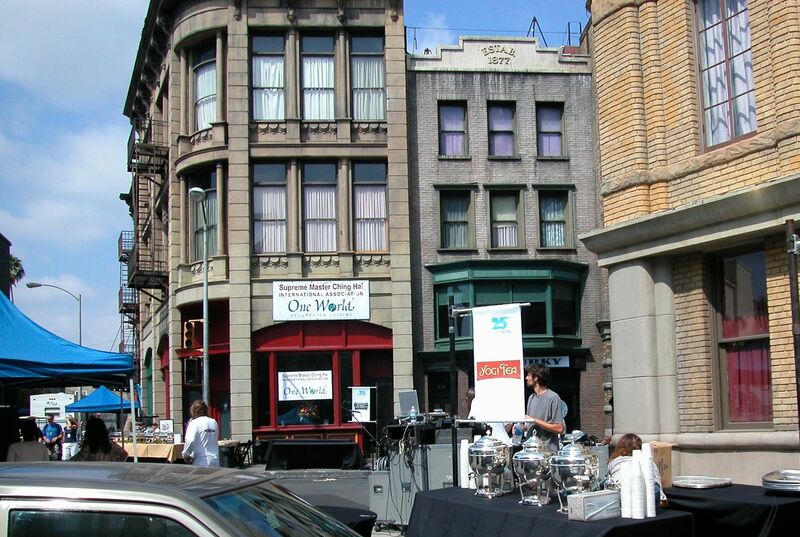 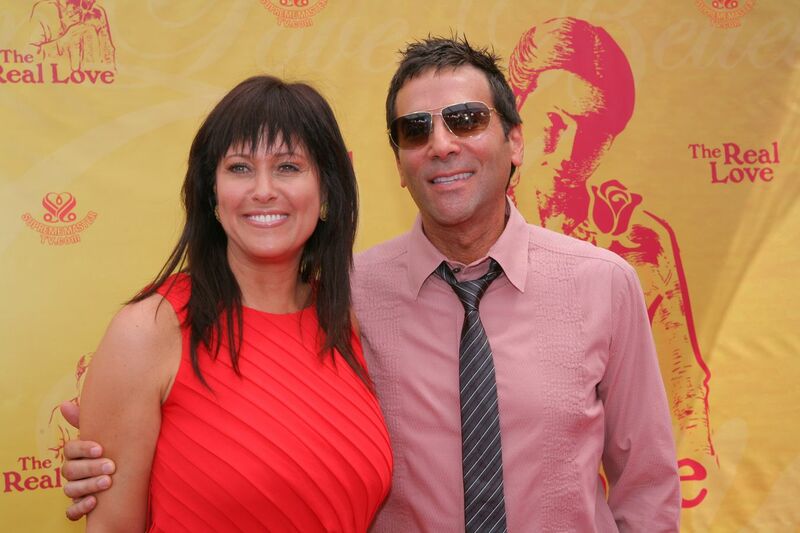 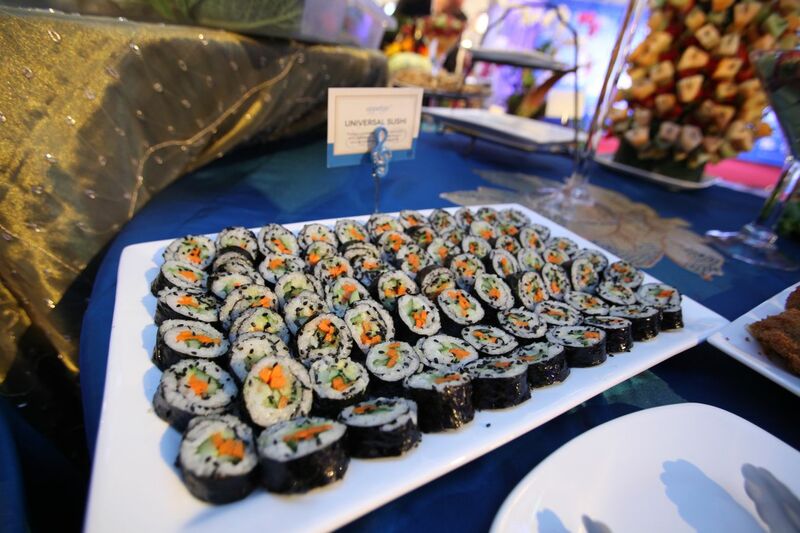 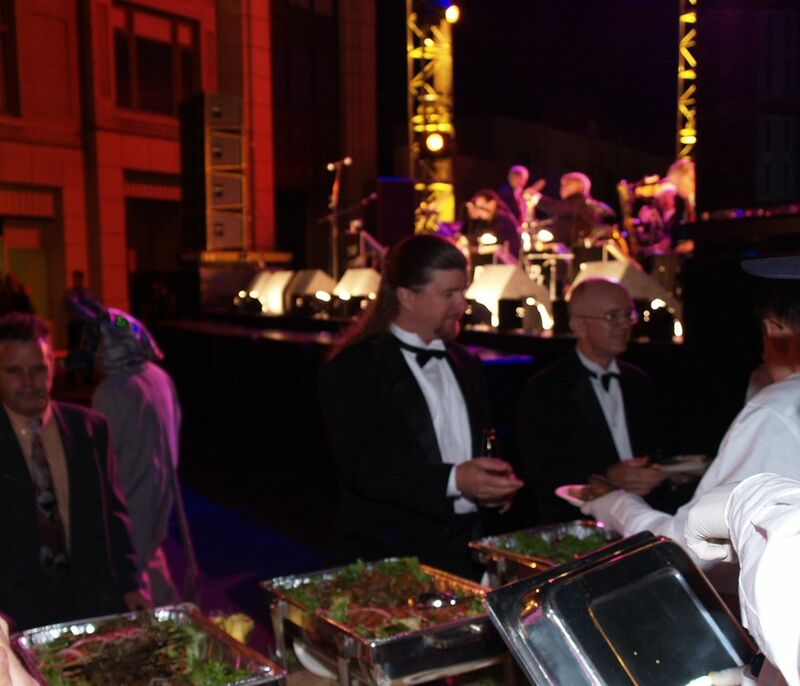 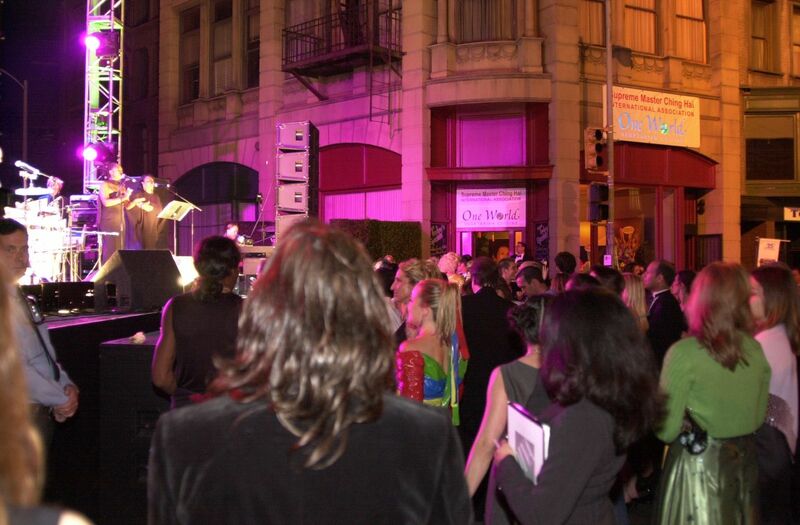 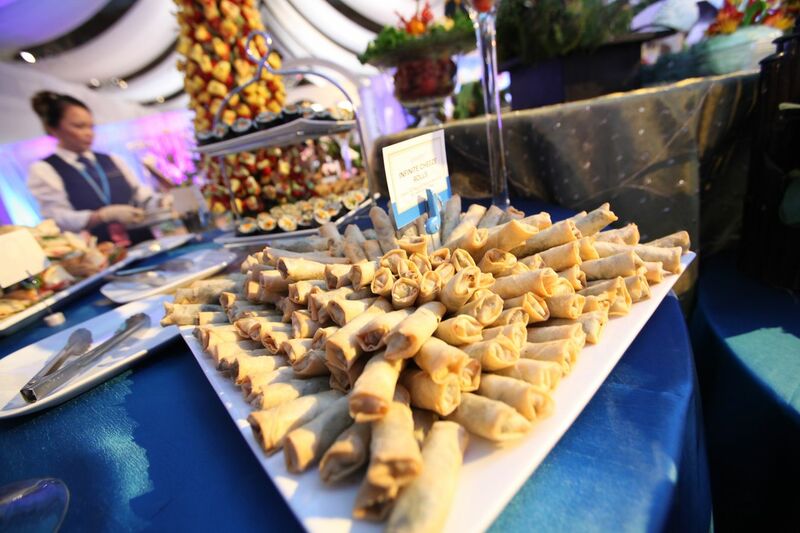 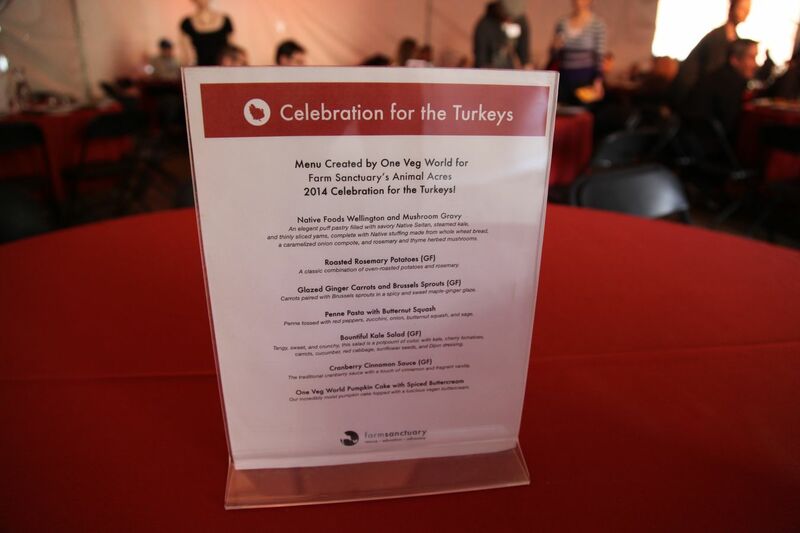 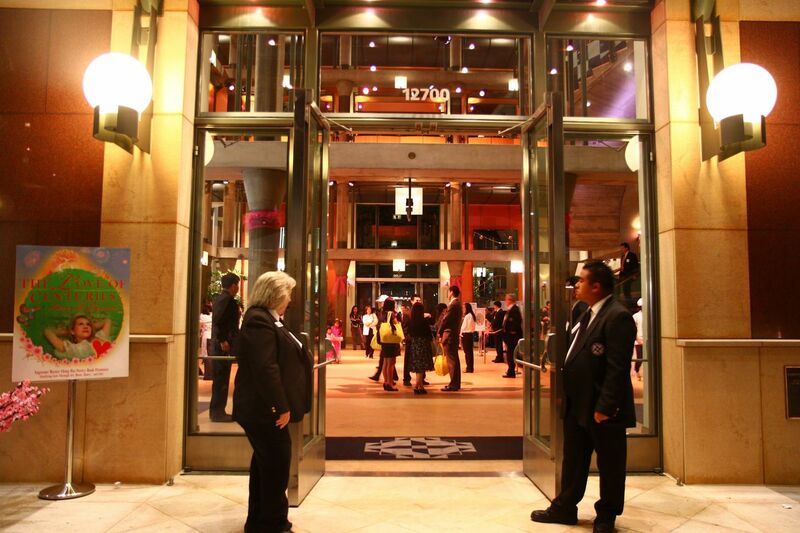 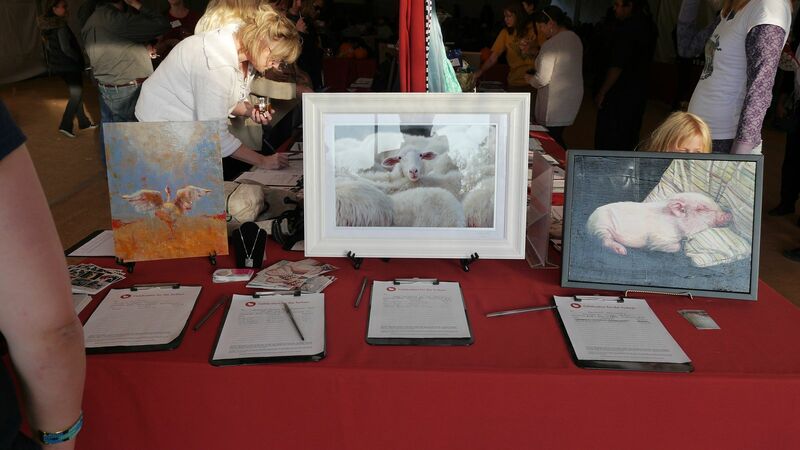 One Veg World was honored to provide some delicious, cruelty-free cuisine for PETA’s 25th Anniversary Gala and Humanitarian Awards Show at Hollywood’s Paramount Pictures Studios in September 2005, where over 5,000 attendees came to show their support for the largest animal rights group in the world. 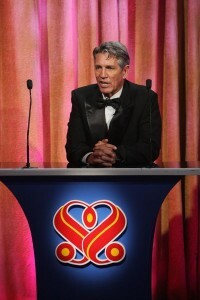 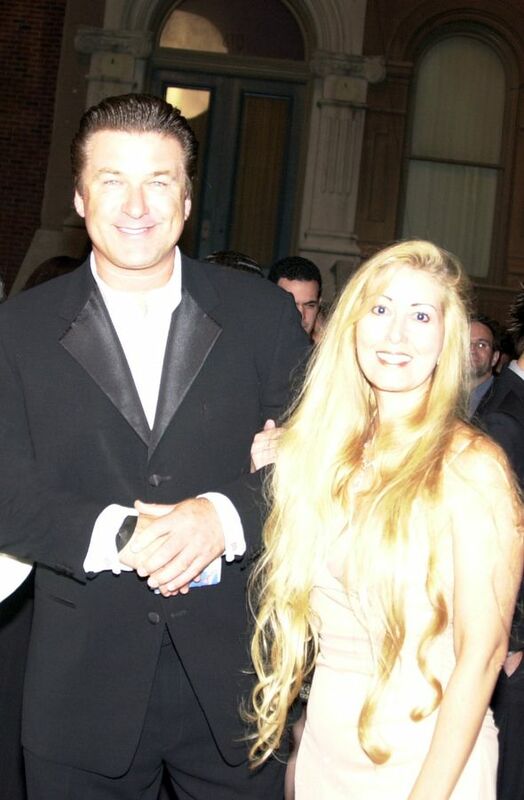 Celebrities attending included Pamela Anderson, Pink, Prince, Alec Baldwin, Jamie Lee Curtis, Sean Astin, Persia White and more. 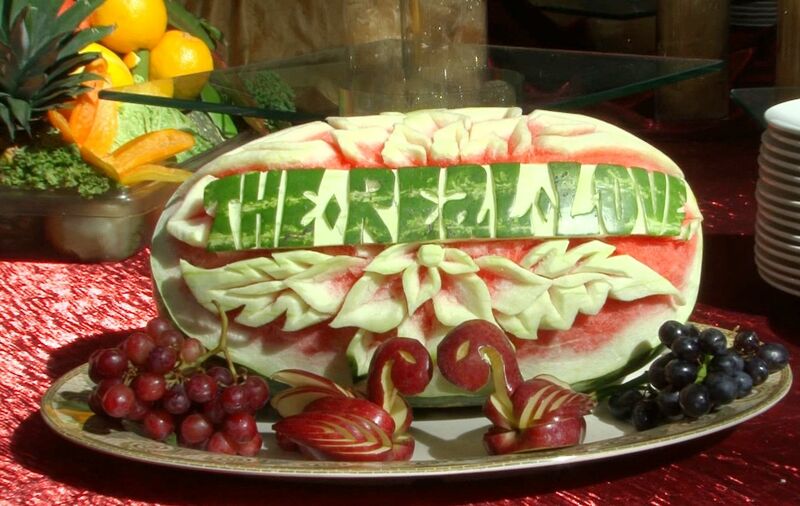 The global constructive channel Supreme Master Television invites One Veg World to deliver a grand vegan banquet with an international theme. 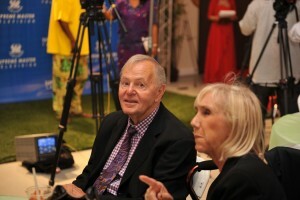 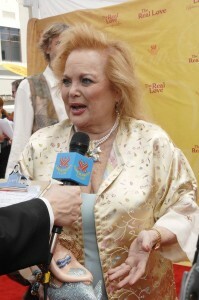 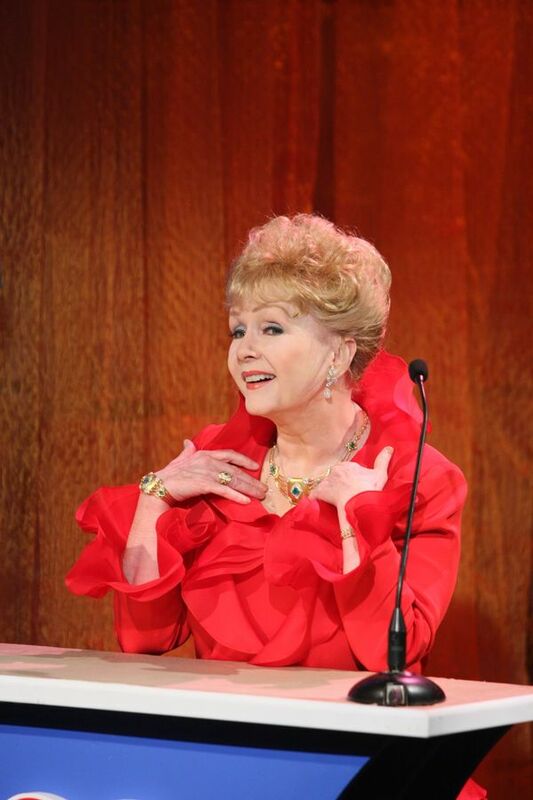 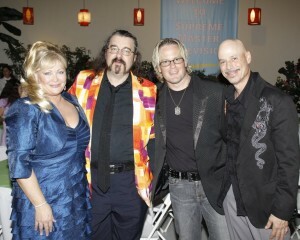 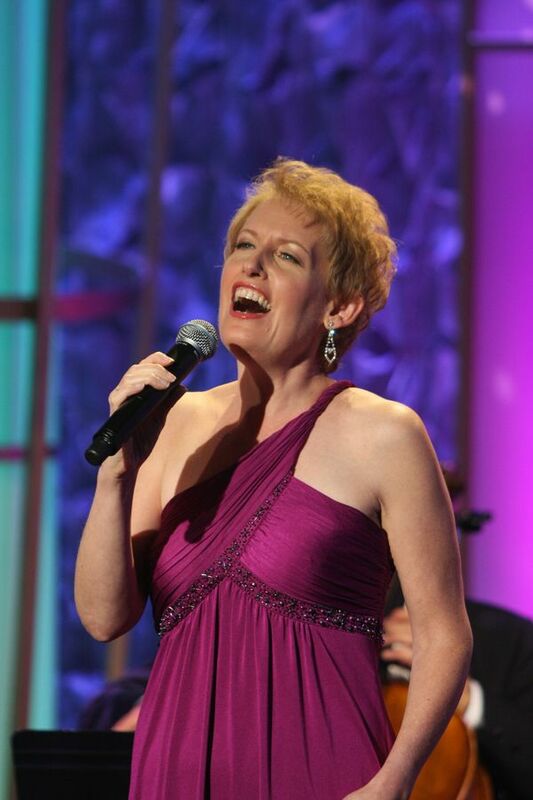 The legendary American actress Debbie Reynolds was guest speaker, and the concert presented new music by Oscar- and Emmy-winning Bill Conti (Rocky), Al Jardine of the original Beach Boys, 5-time Grammy nominee David Benoit (The Peanuts Movie), Emmy-winning Don Davis (The Matrix), and Grammy Award-winning Bob Kulick (Kiss). 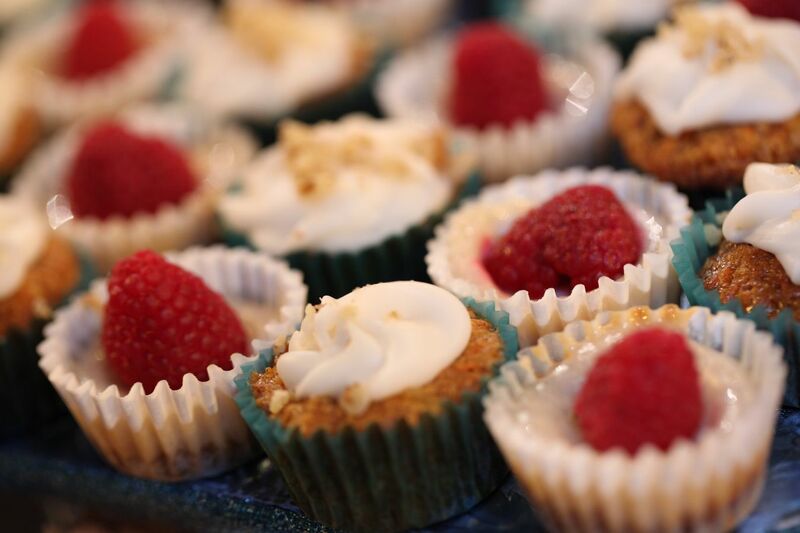 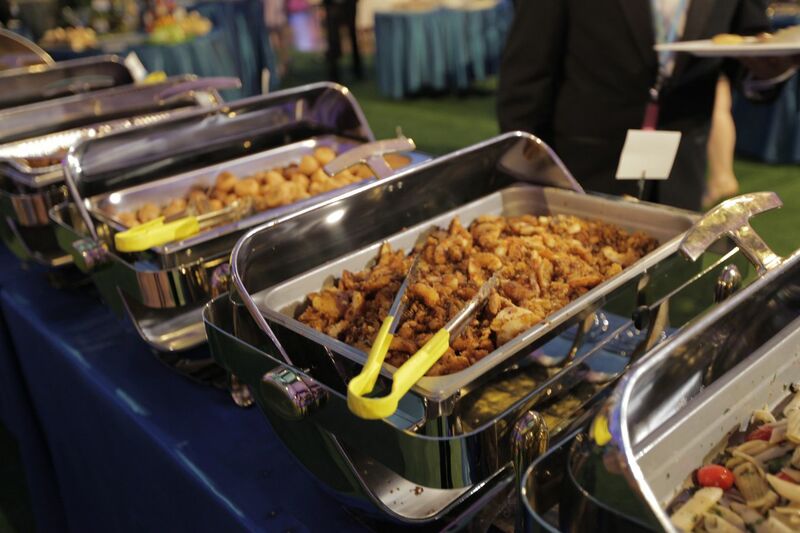 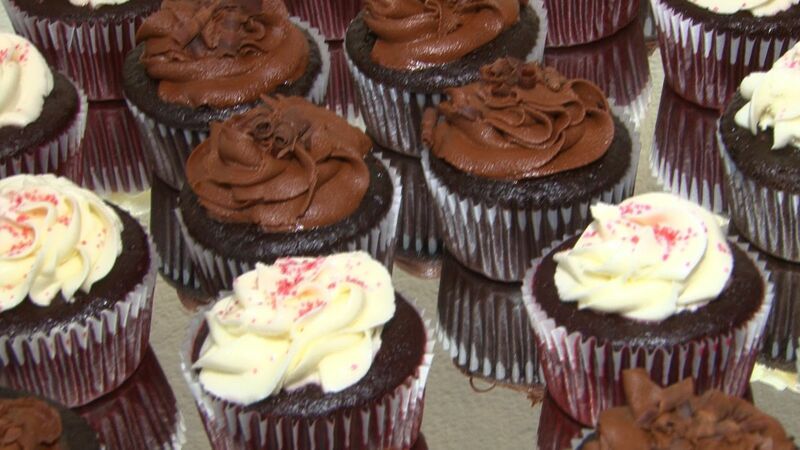 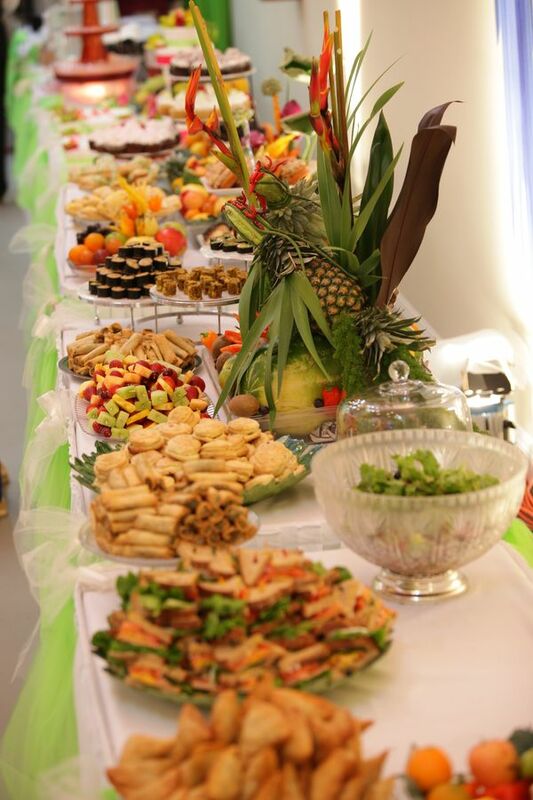 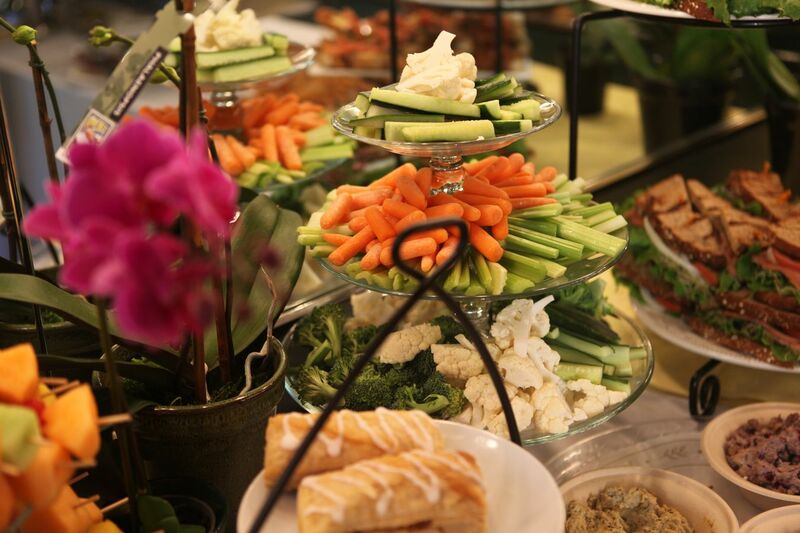 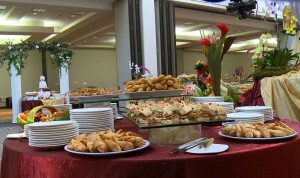 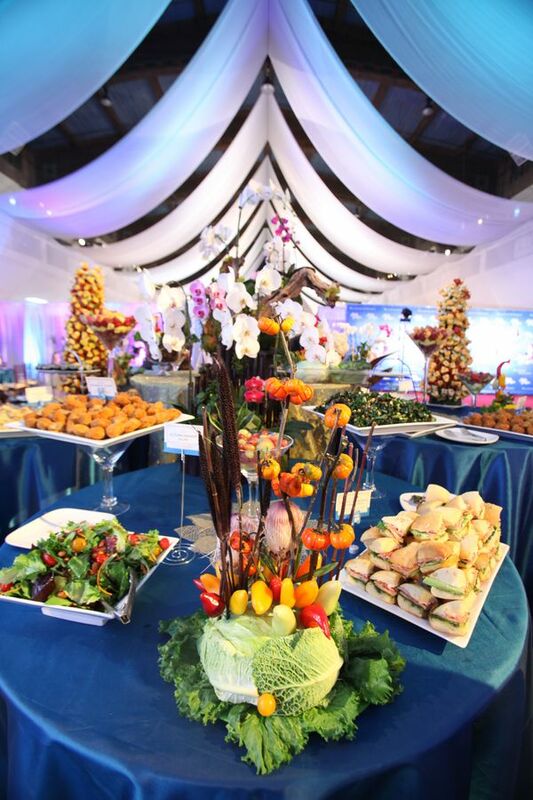 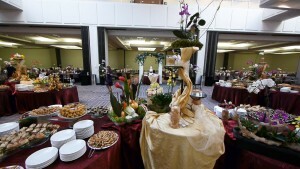 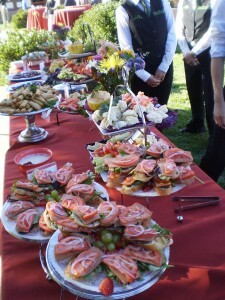 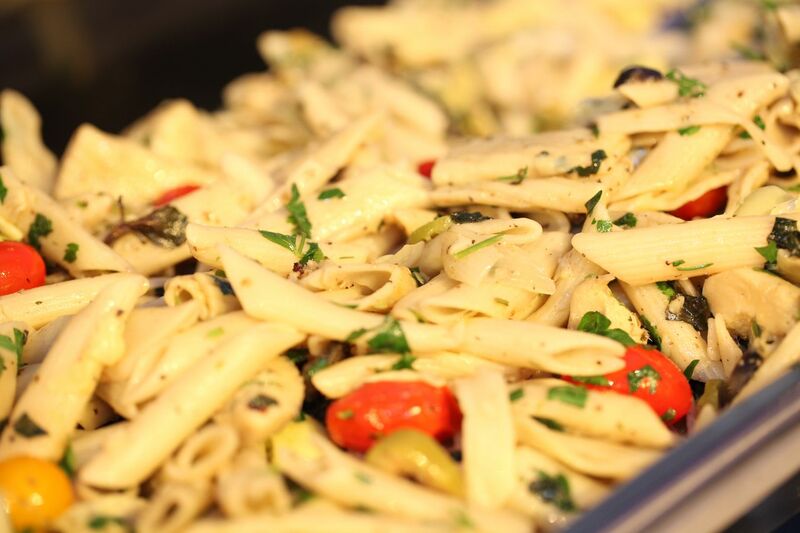 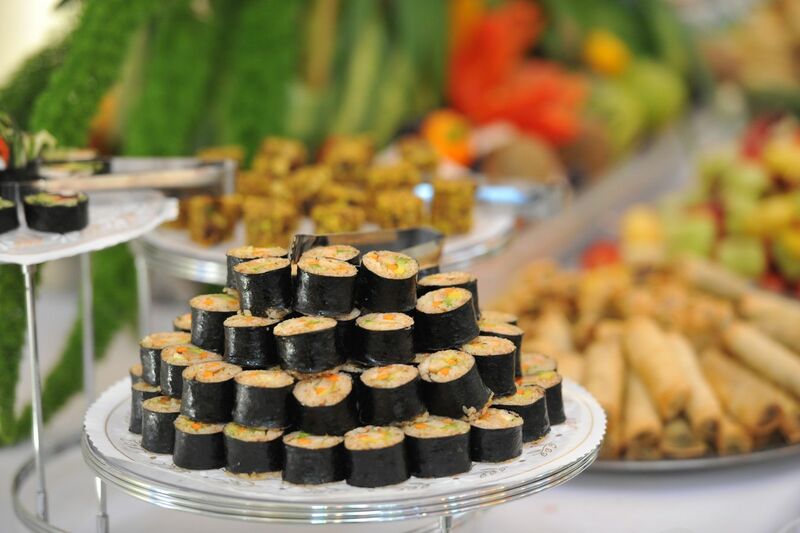 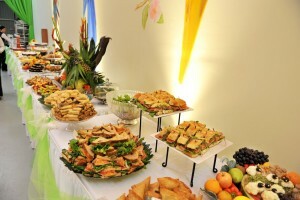 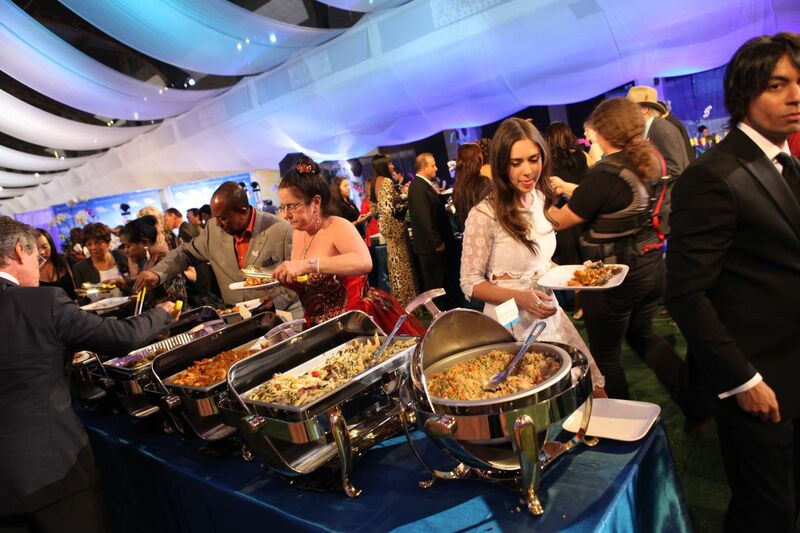 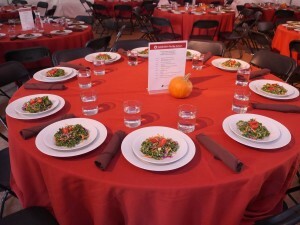 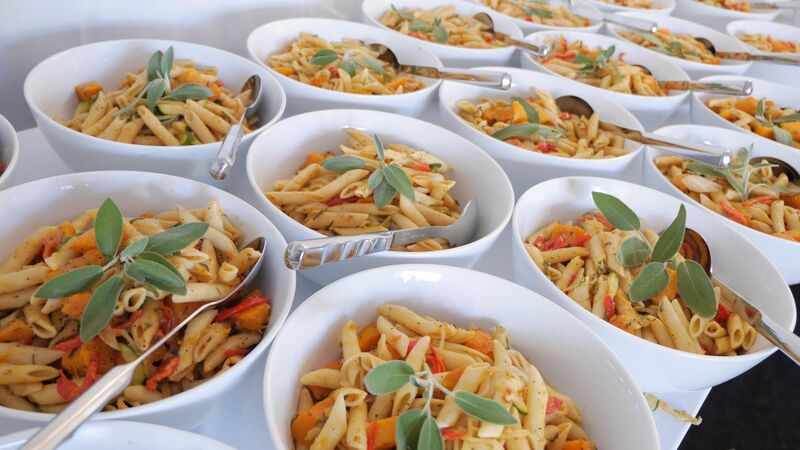 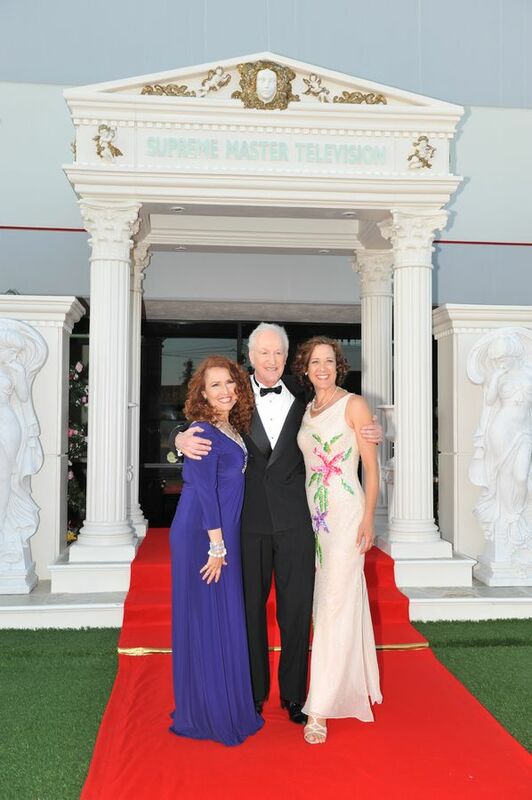 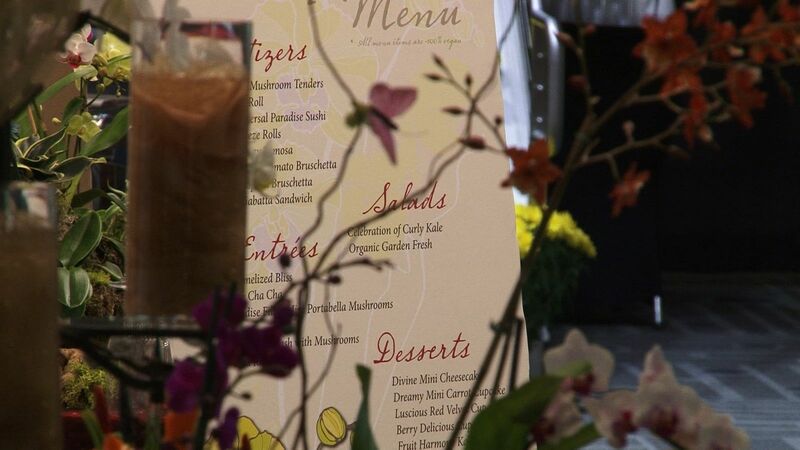 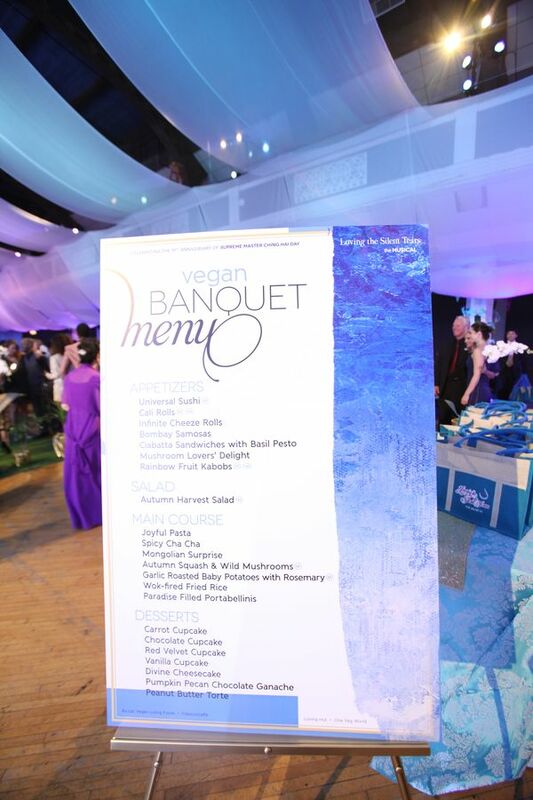 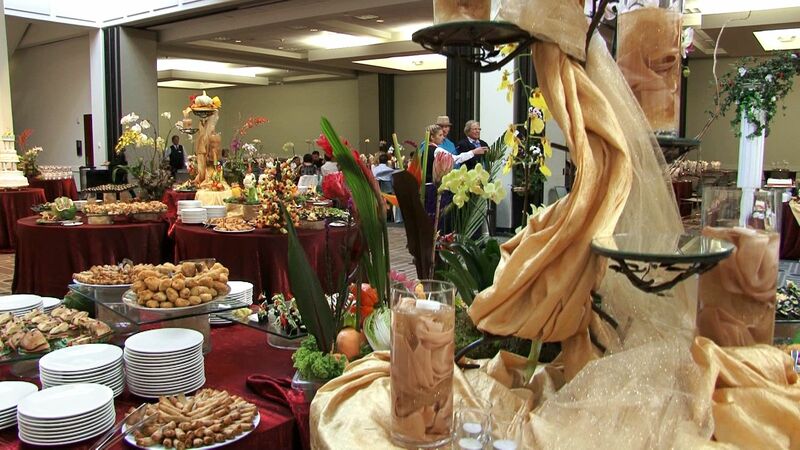 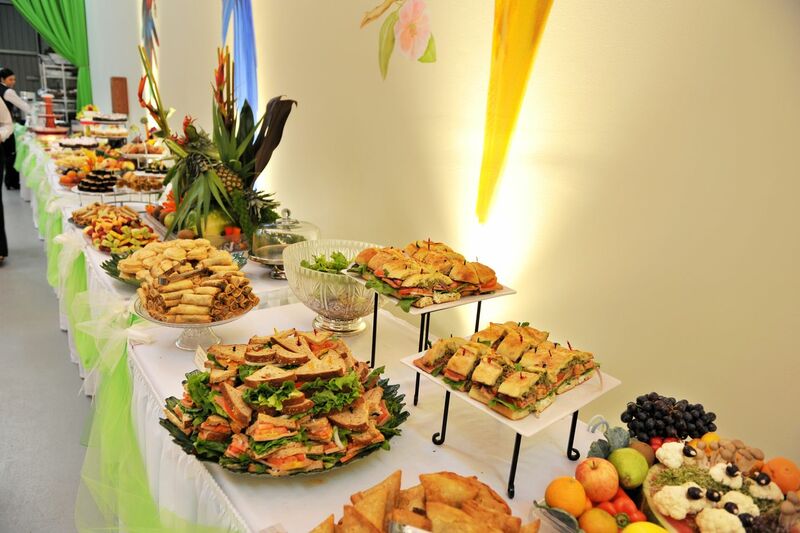 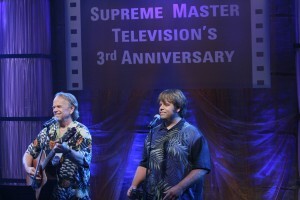 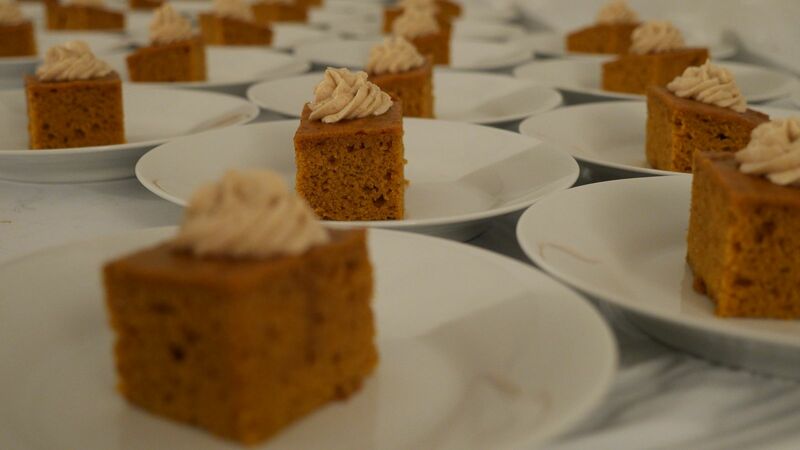 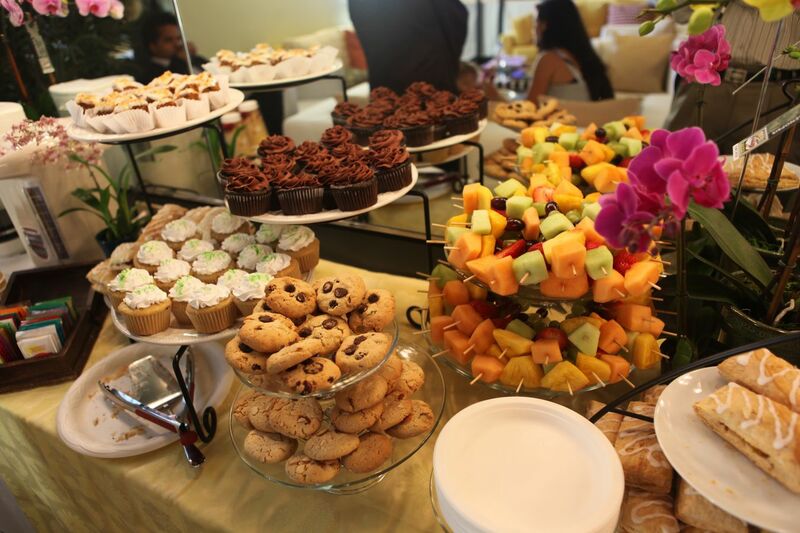 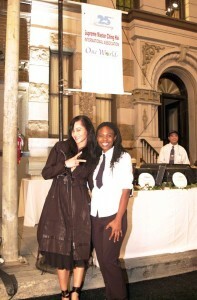 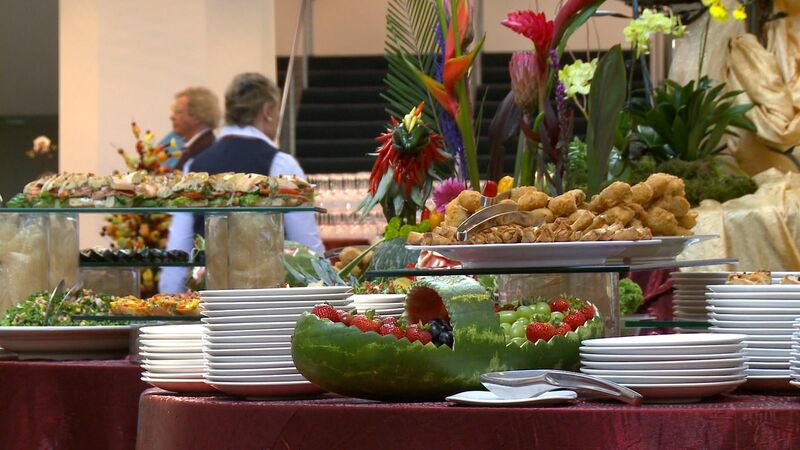 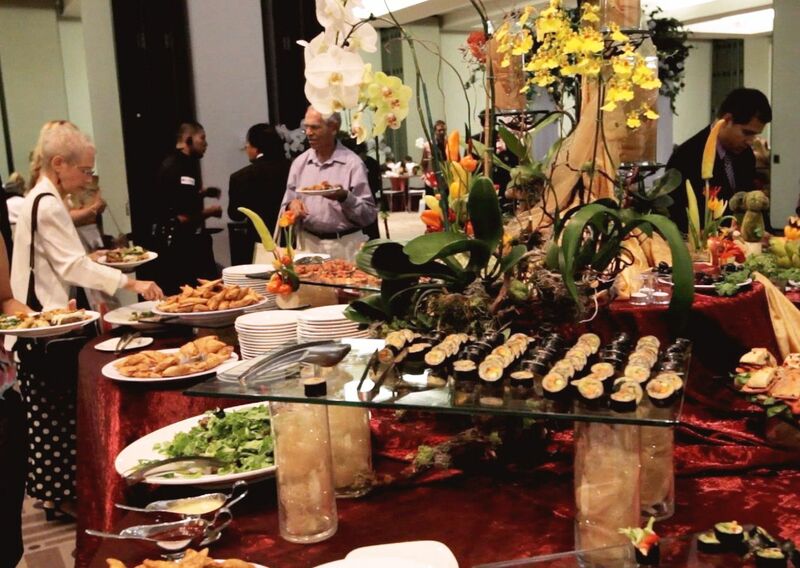 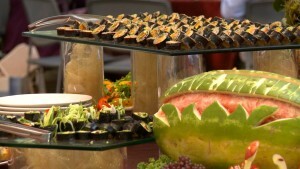 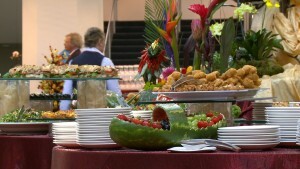 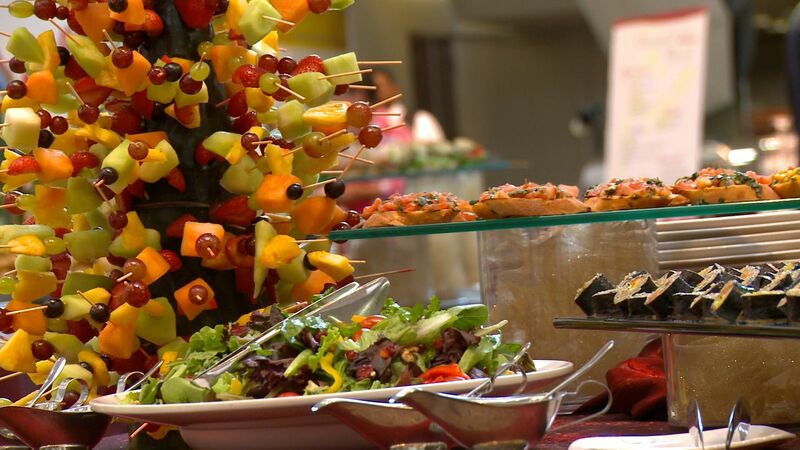 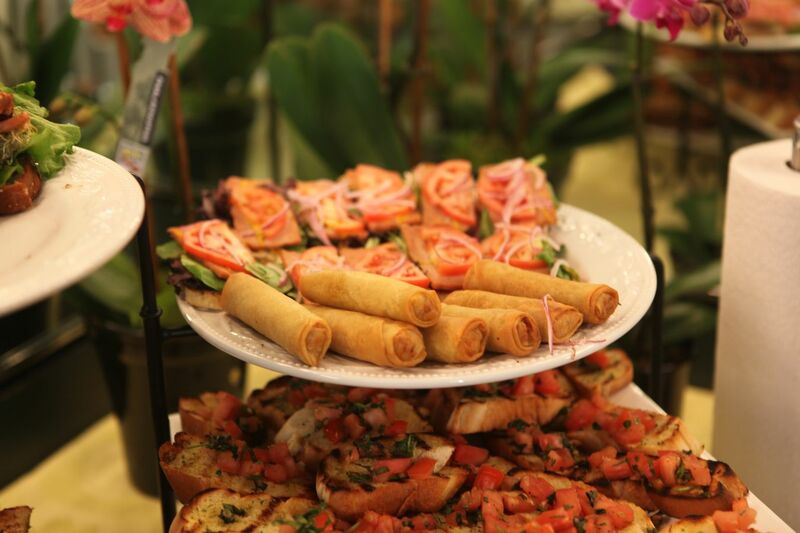 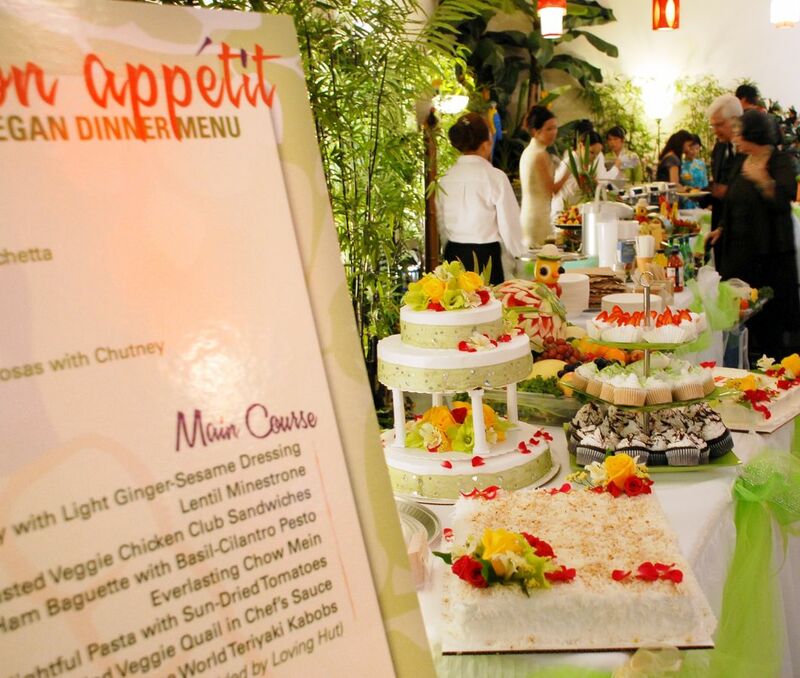 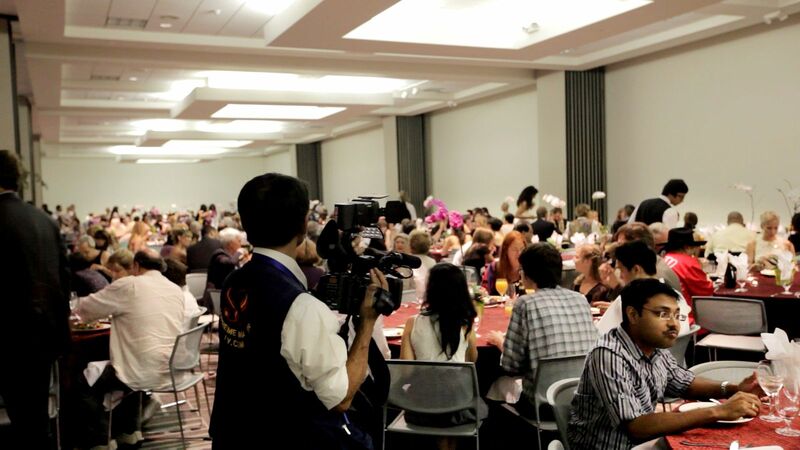 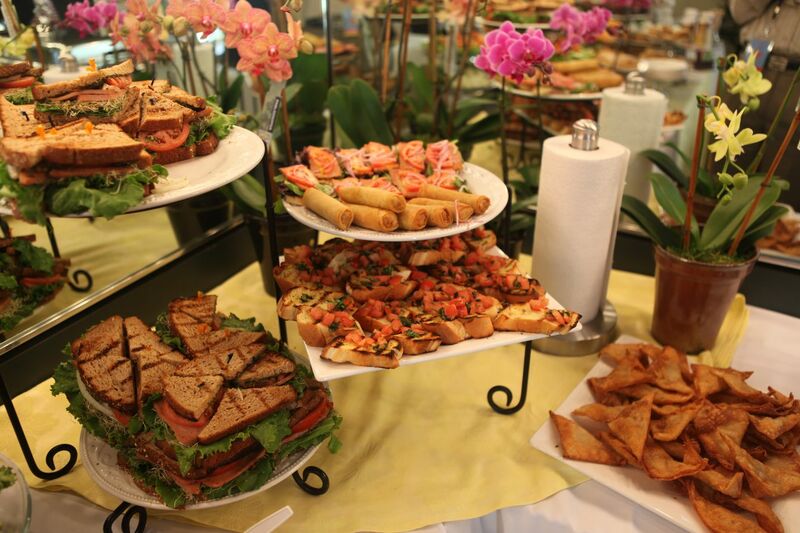 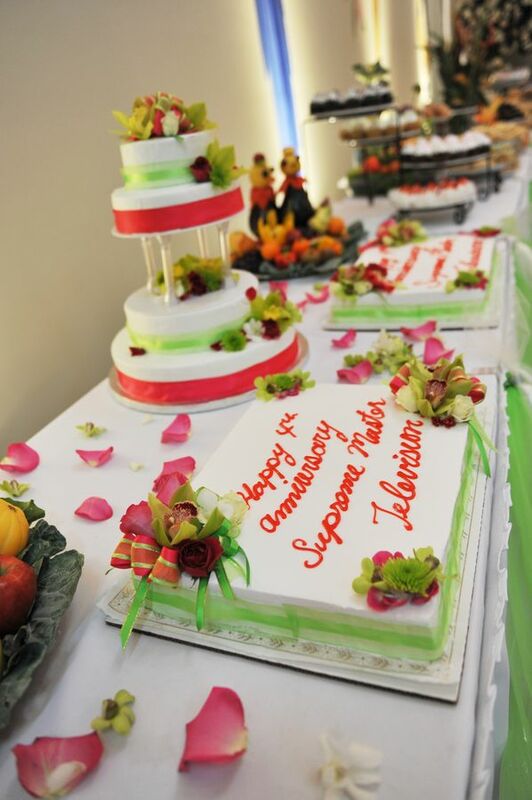 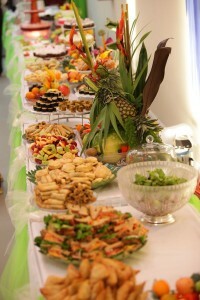 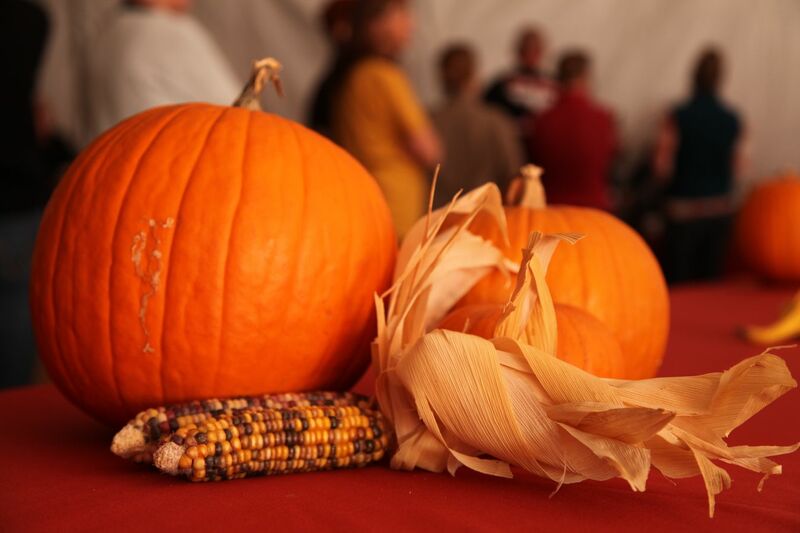 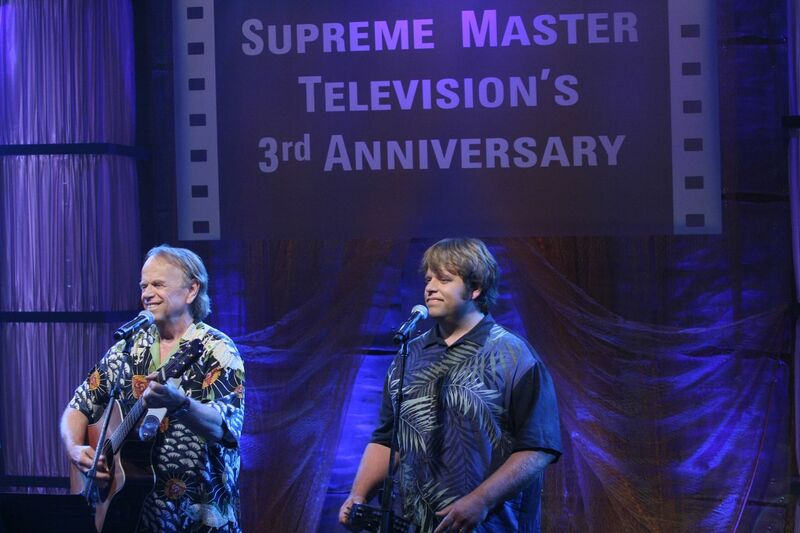 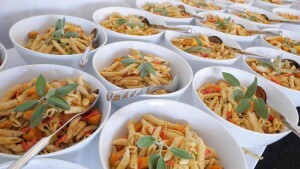 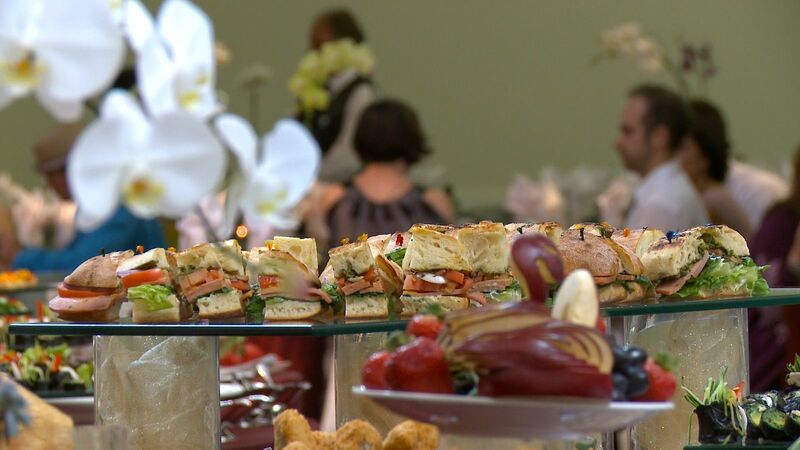 One Veg World was honored to provide vegan catering for Supreme Master Television. 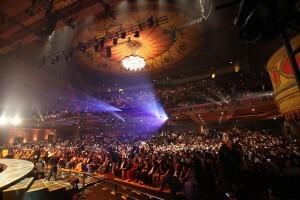 This was the global channel’s huge 4th anniversary concert. 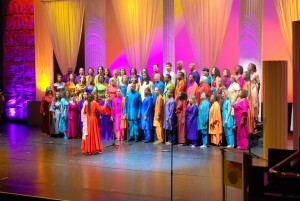 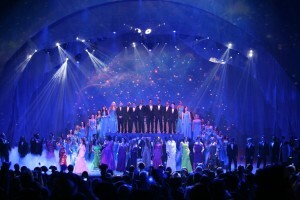 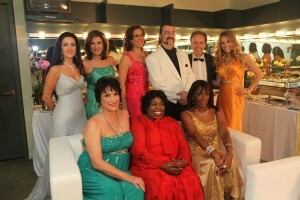 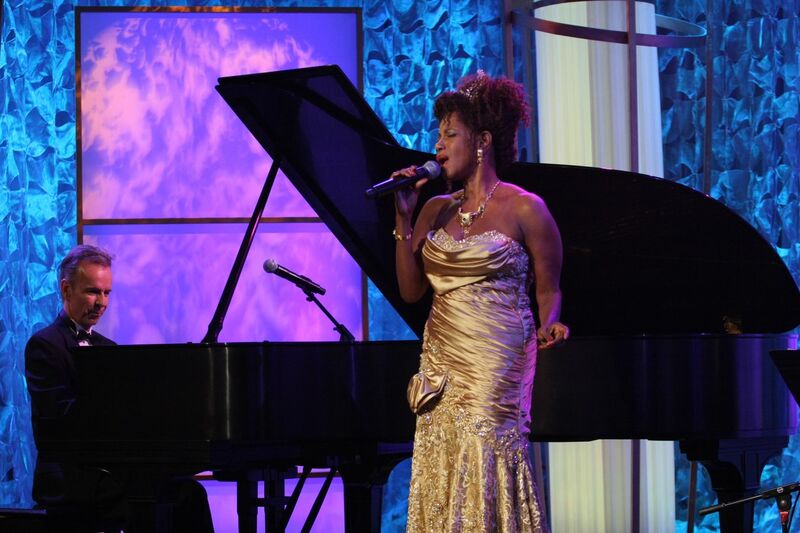 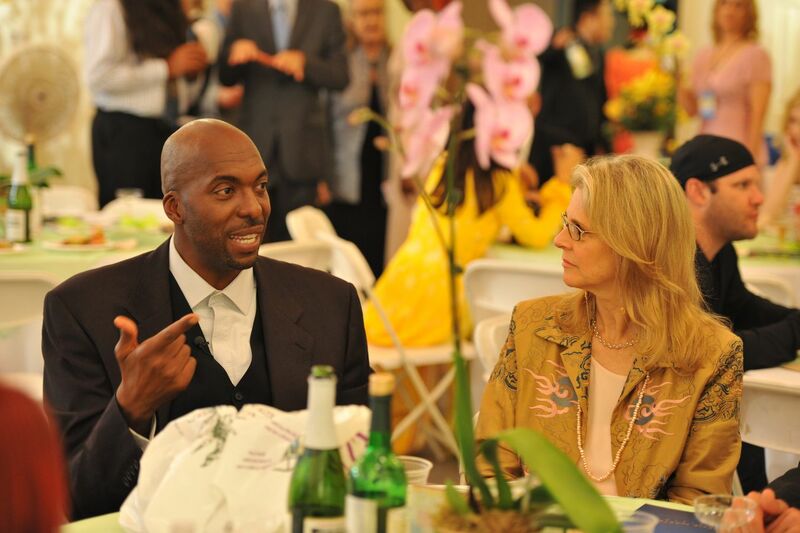 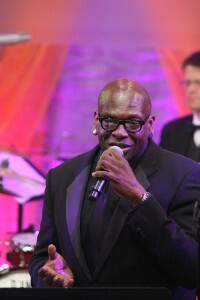 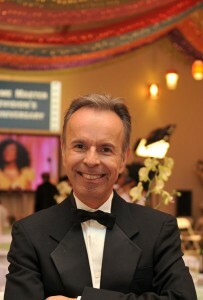 Celebrities attending included 4-time NBA champ John Salley, 2-time Oscar-winning composer Al Kasha (“The Morning After”), multi-platinum singer/songwriter Donna Lewis (“I Love You Always Forever”), Tony-winning Broadway stars Karen Ziemba and Melba Moore, Grammy-winning singer Melissa Manchester, and Emmy winner and Tony nominee Liz Callaway. 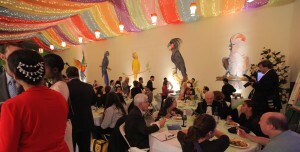 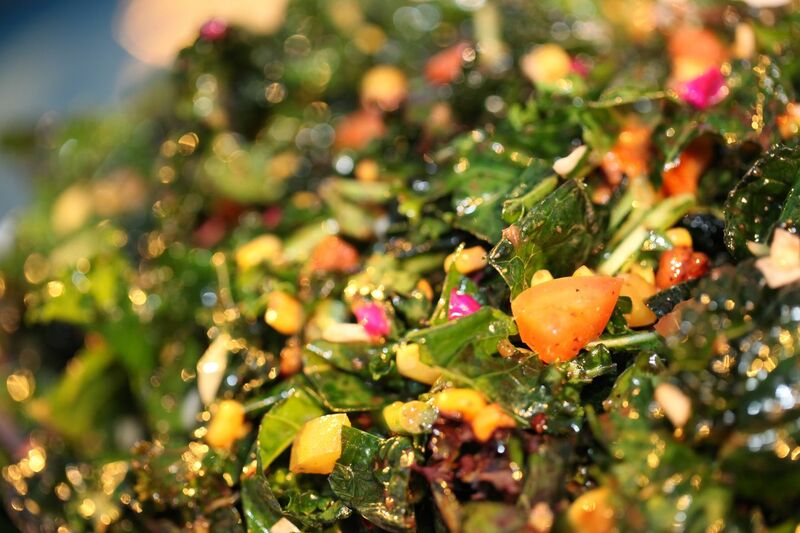 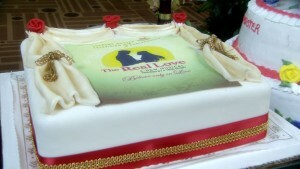 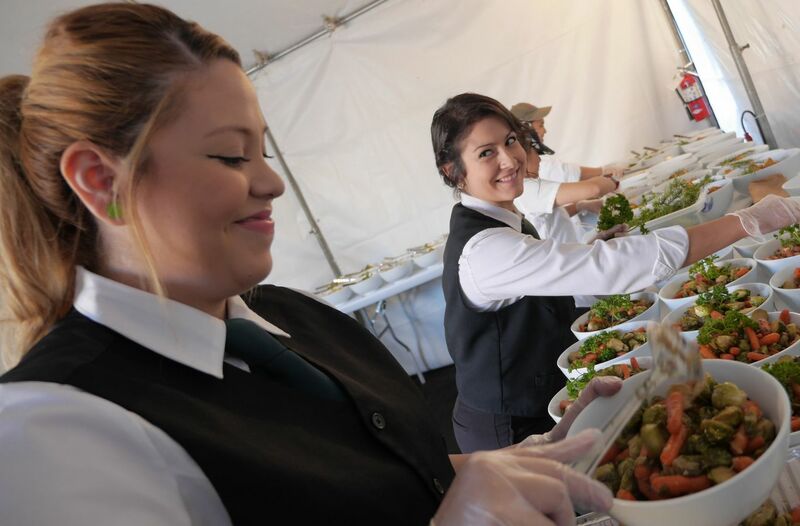 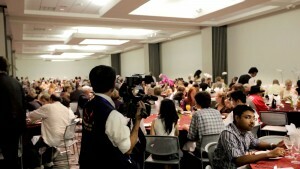 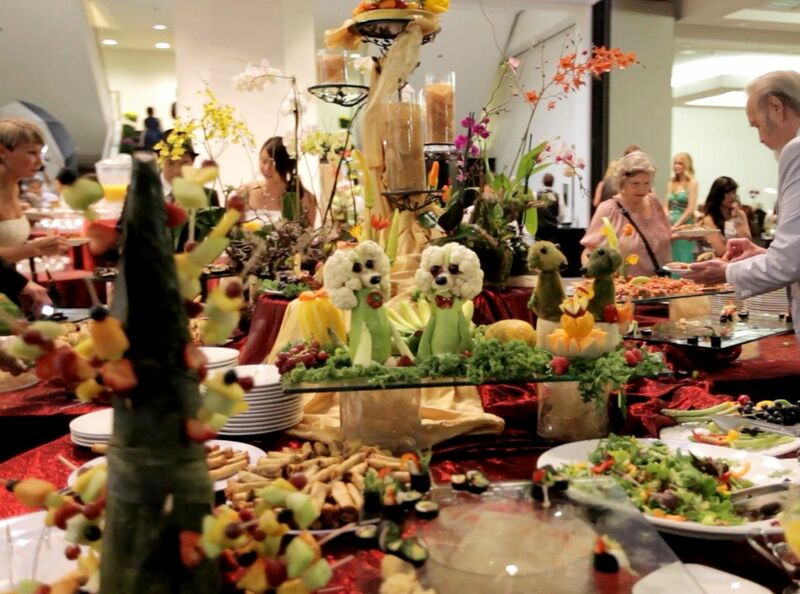 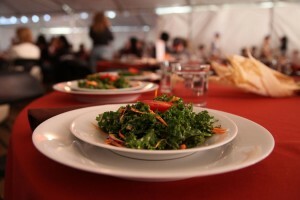 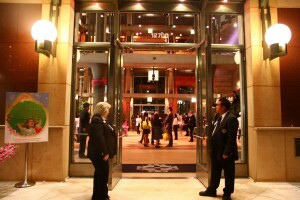 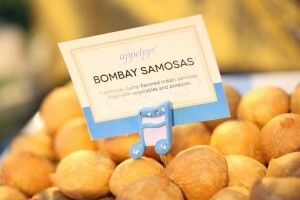 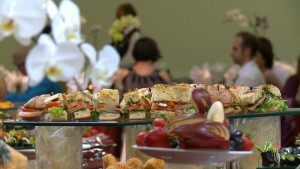 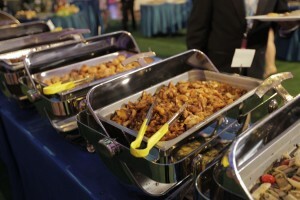 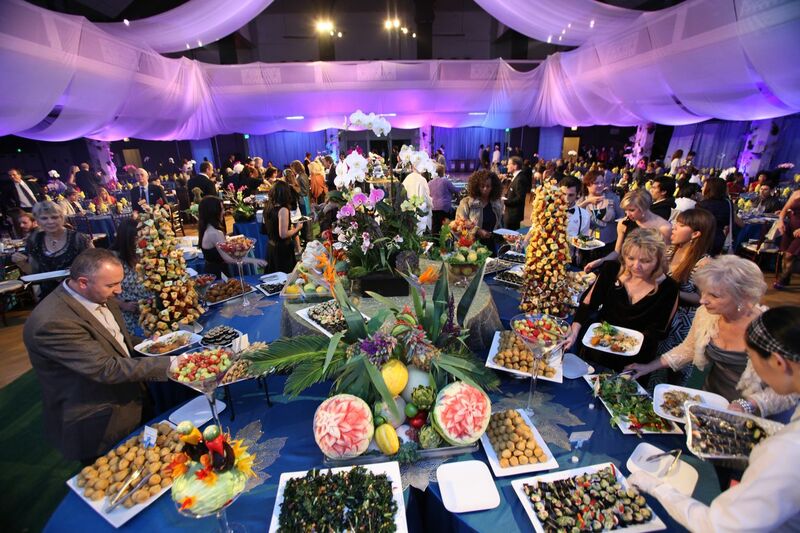 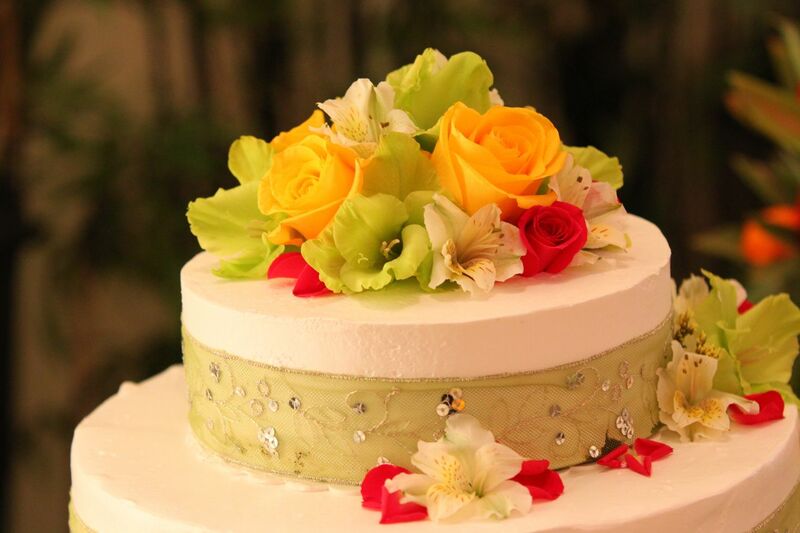 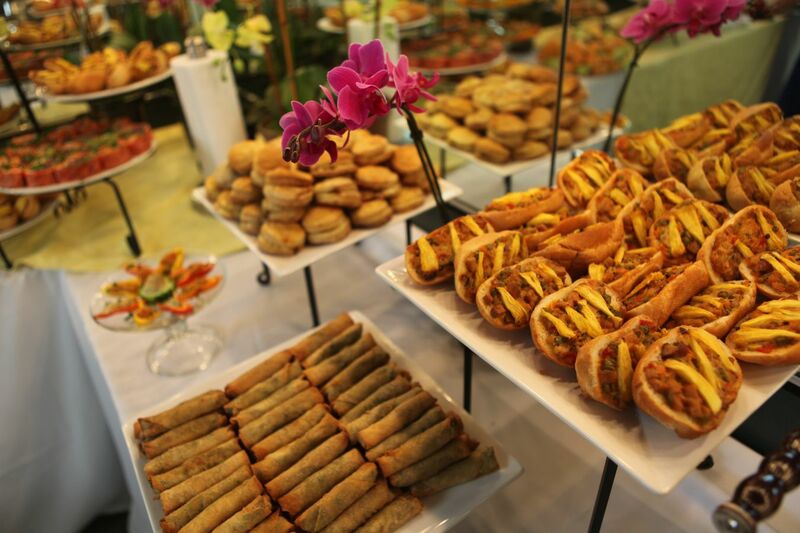 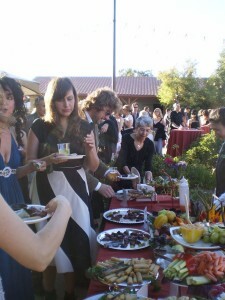 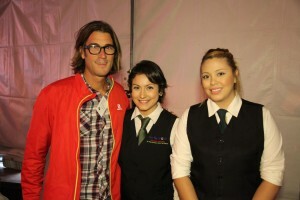 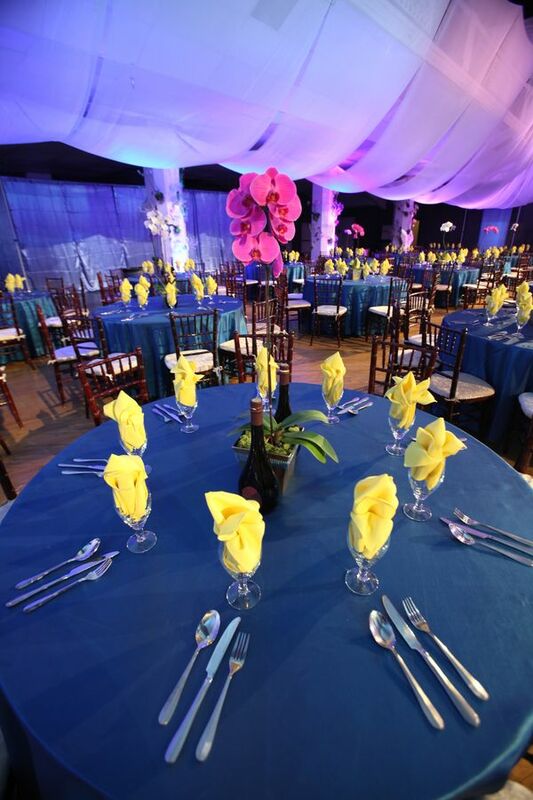 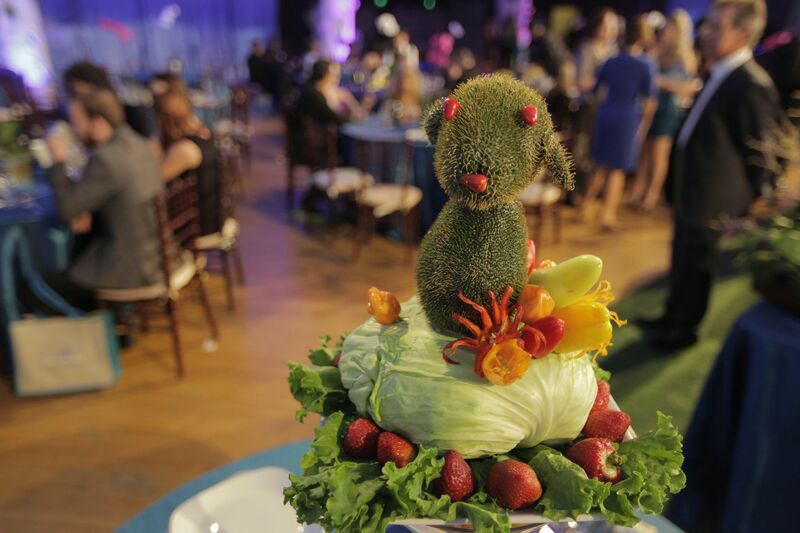 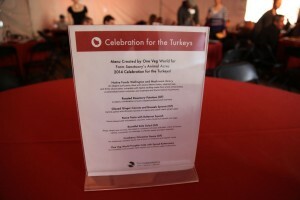 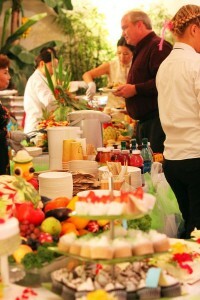 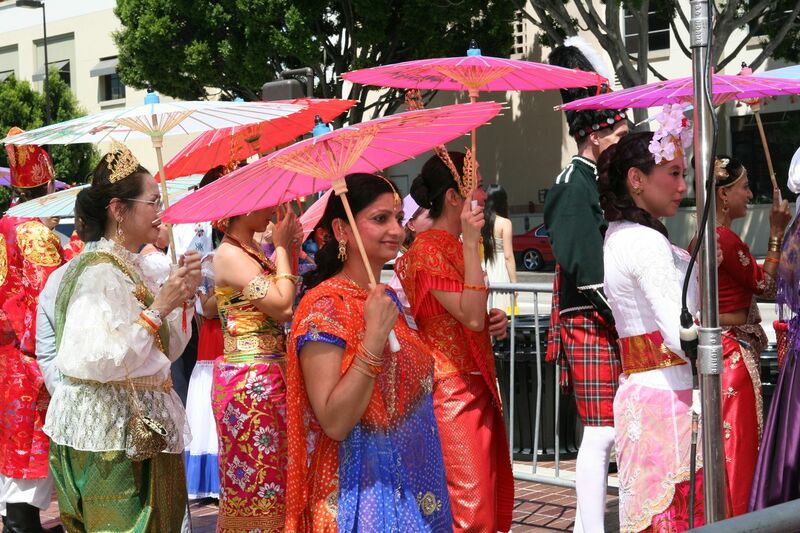 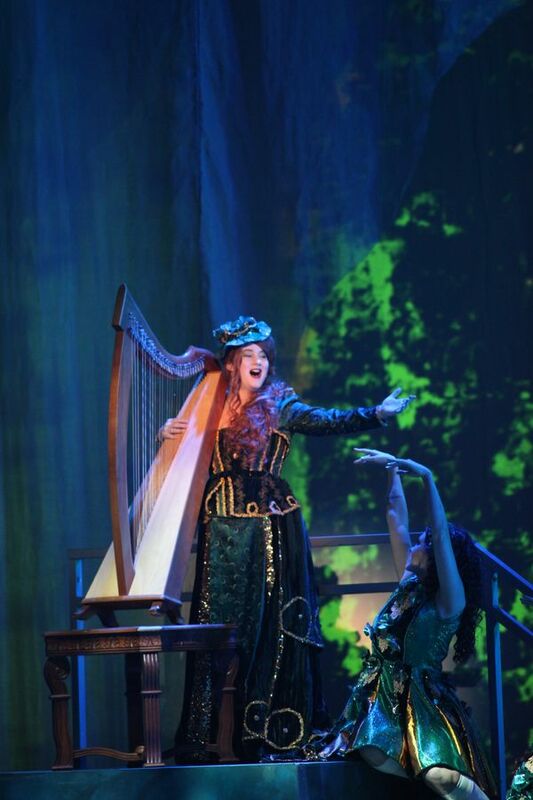 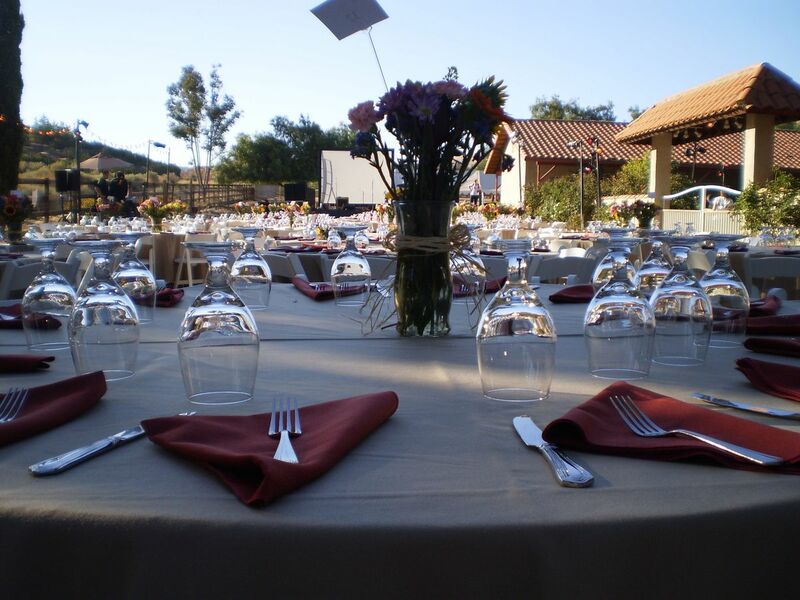 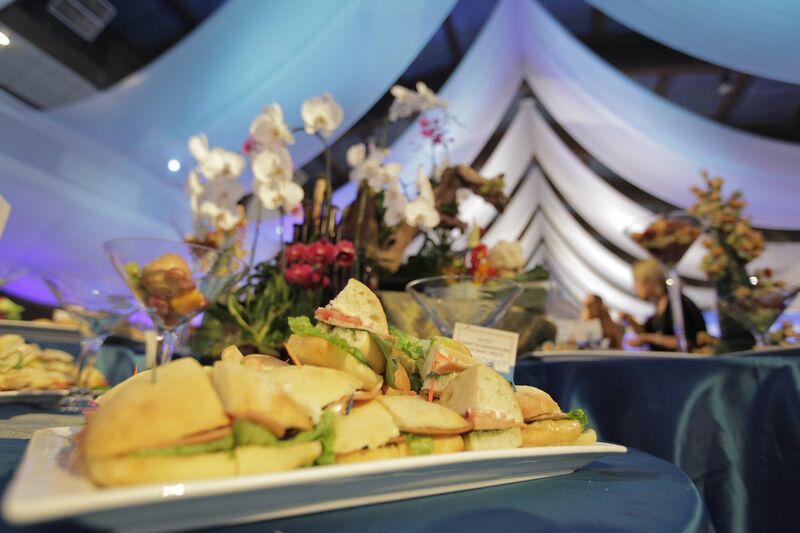 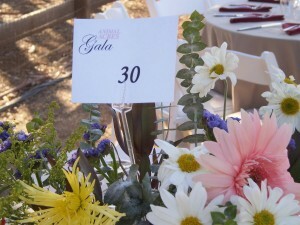 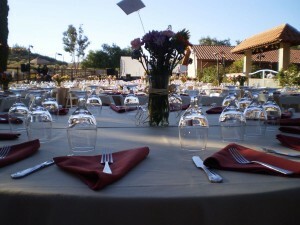 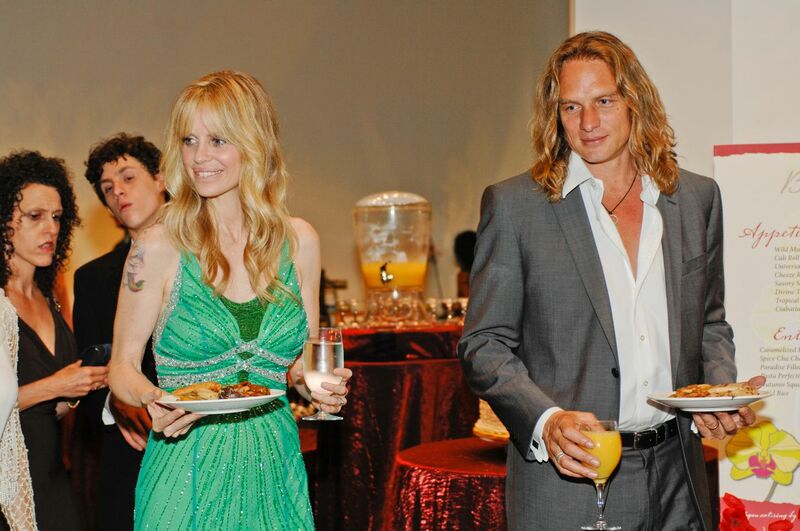 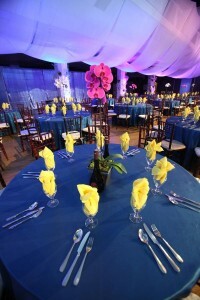 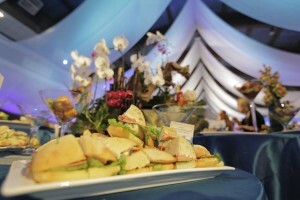 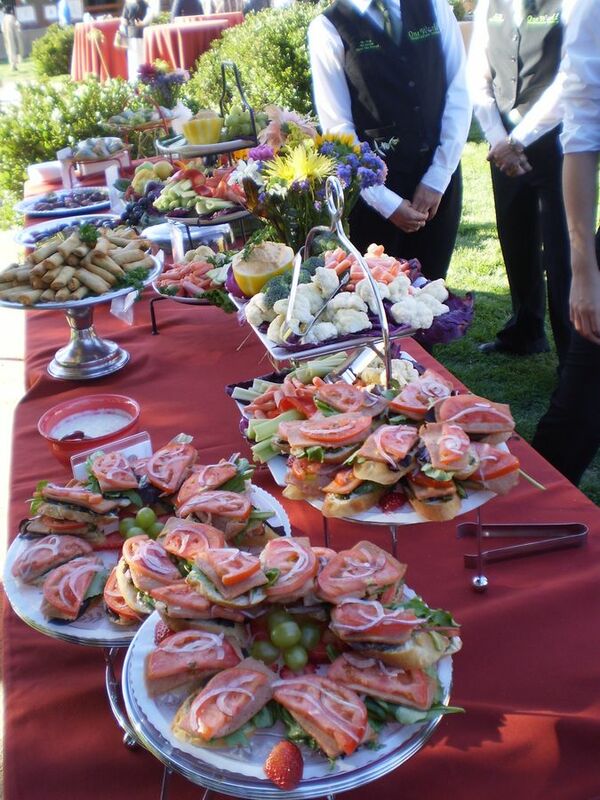 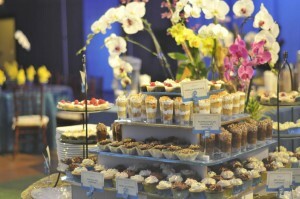 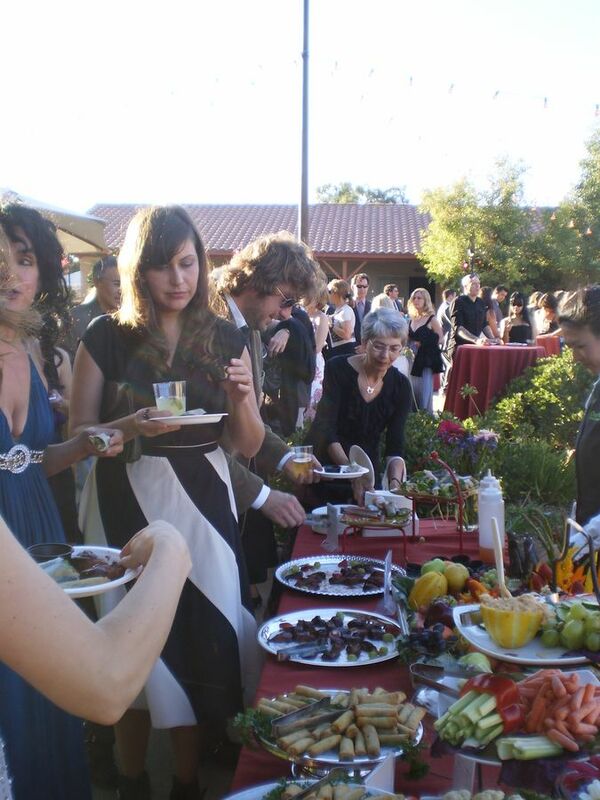 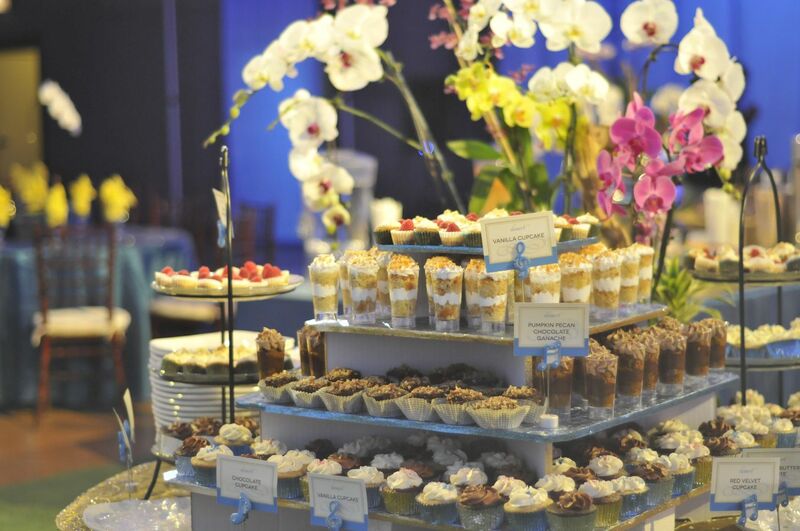 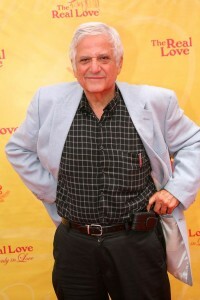 A special vegan catering prepared by One Veg World for “The Love of Centuries – Love is Eternal” Concert in Los Angeles. 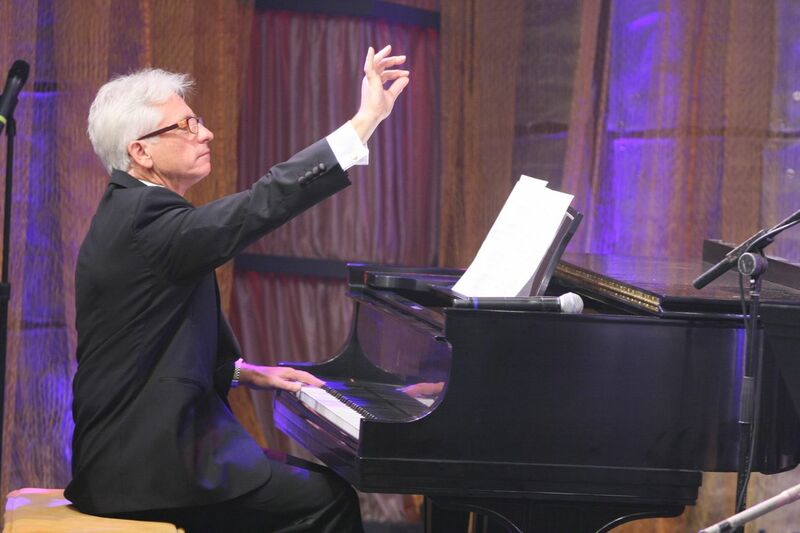 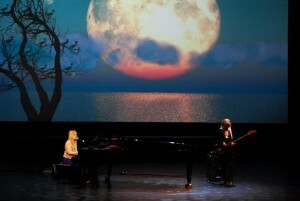 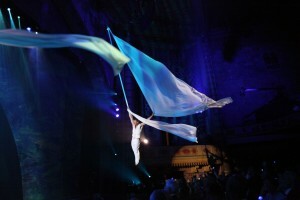 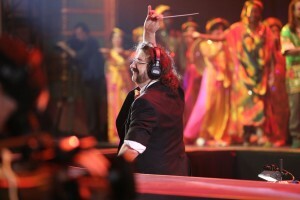 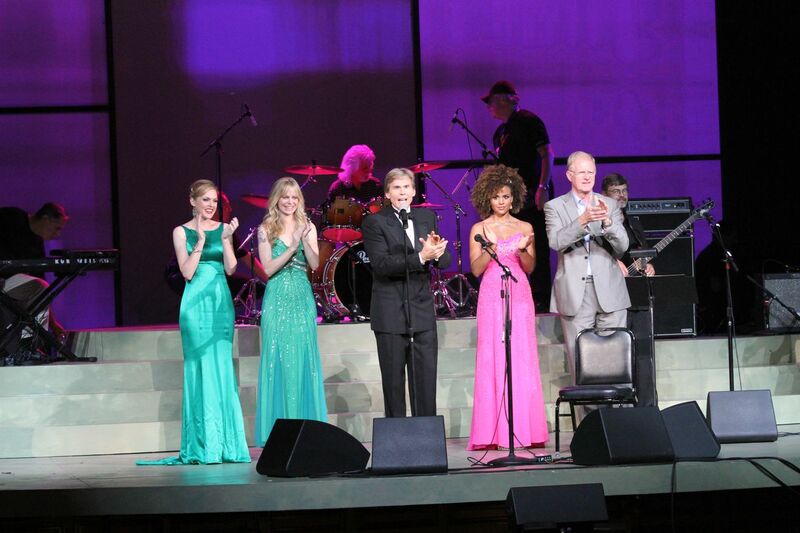 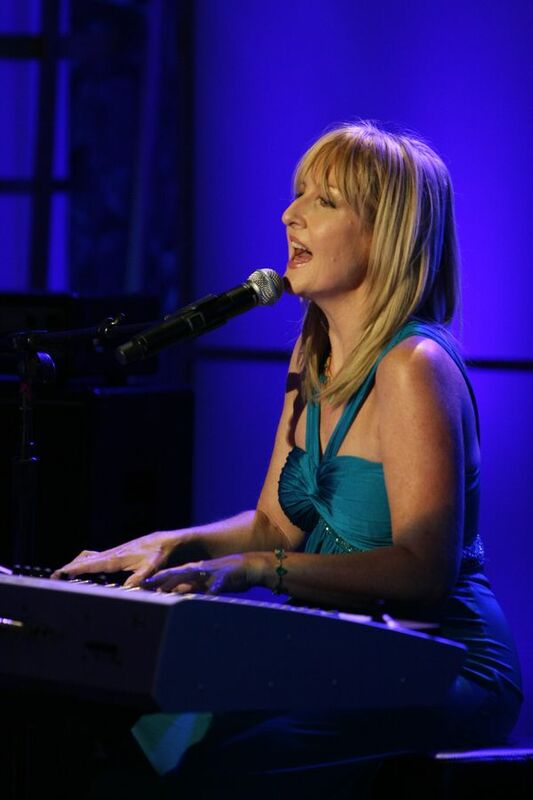 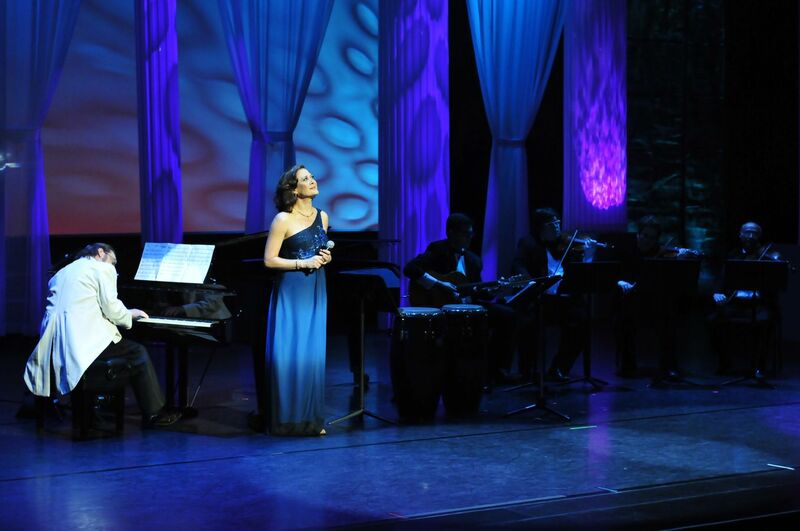 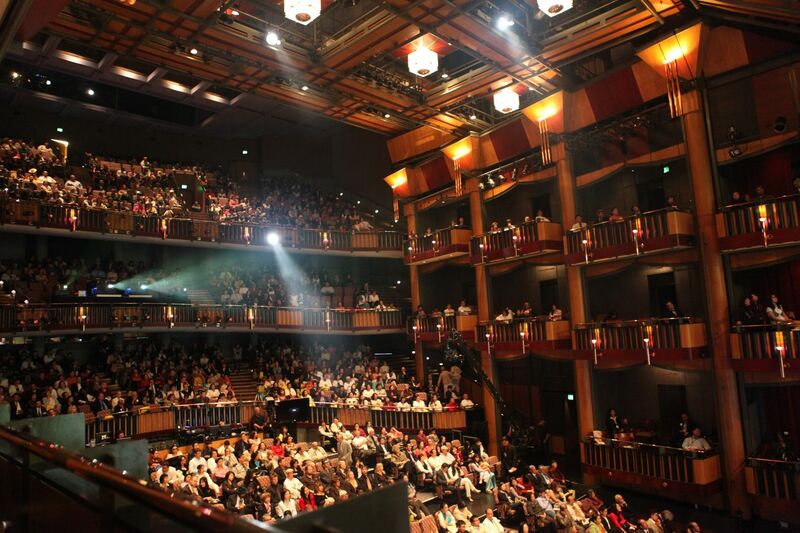 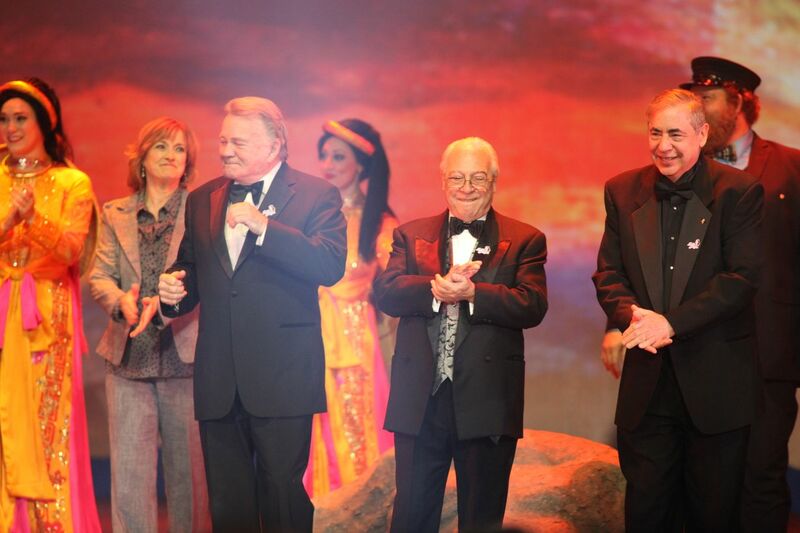 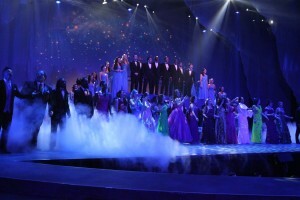 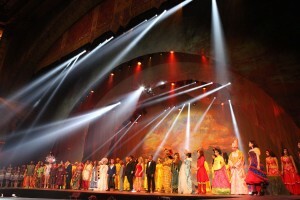 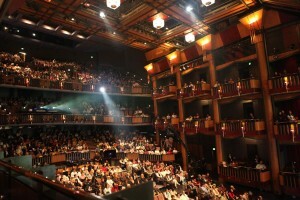 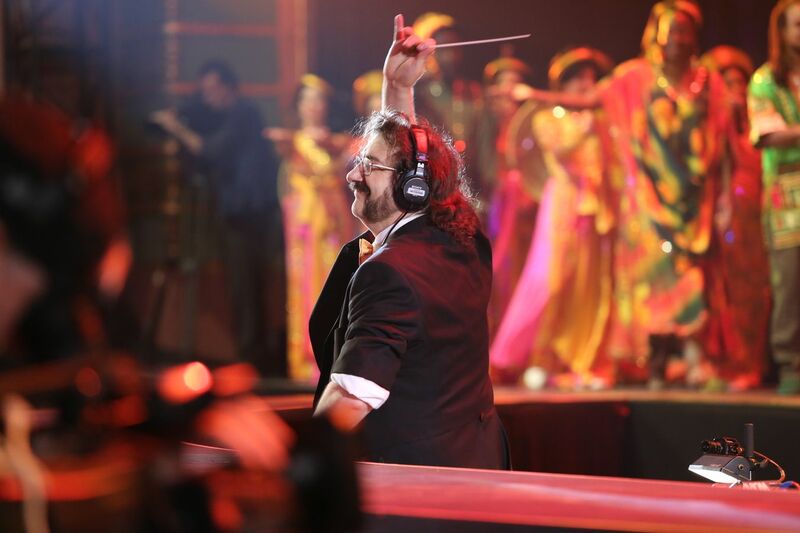 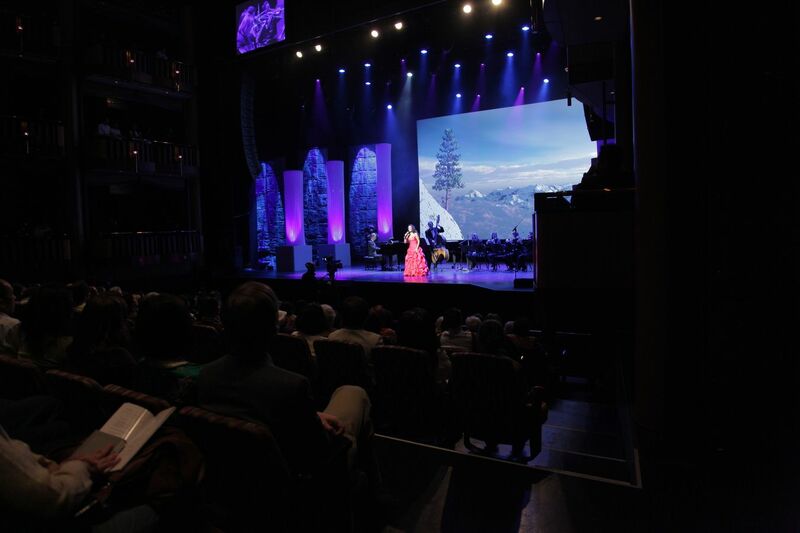 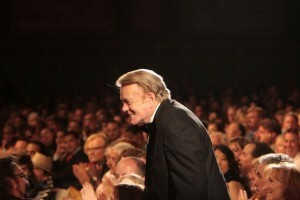 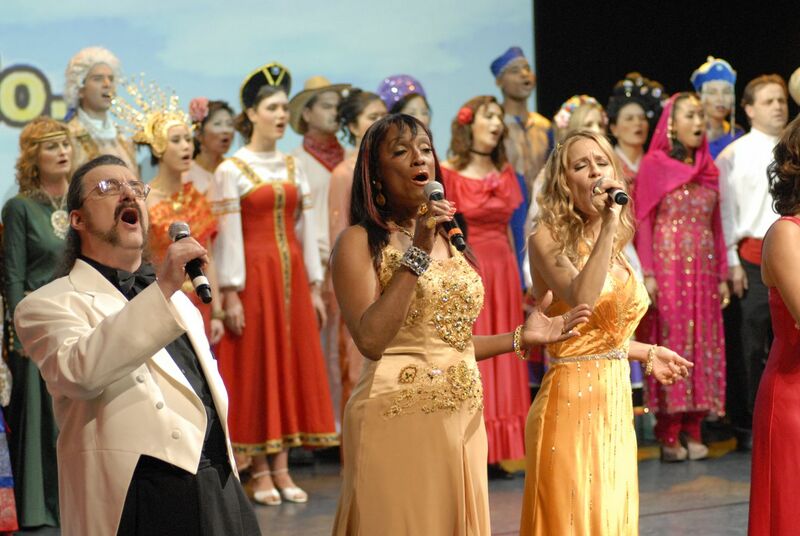 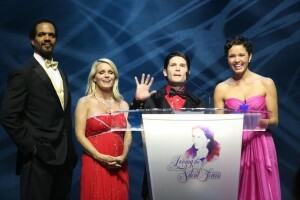 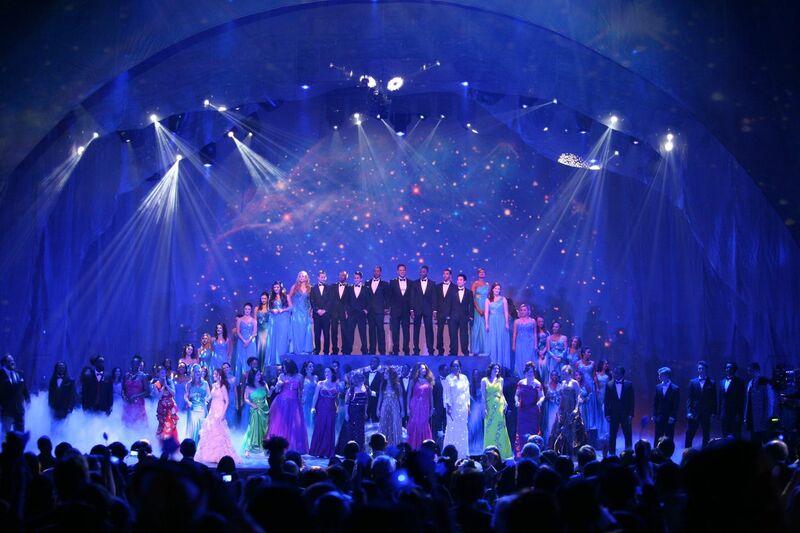 It was another star-studded event involving composers such as Oscar-winning Bill Conti, 2-time Oscar winner Al Kasha, Grammy winner Bill Cunliffe, and Emmy winner Doug Katsaros, with performances by multi-platinum singer/songwriter Donna Lewis, Tony winner Karen Ziemba, Grammy nominee Denise Donatelli, and Italian soprano Giorgia Fumanti, and the Agape International Choir. 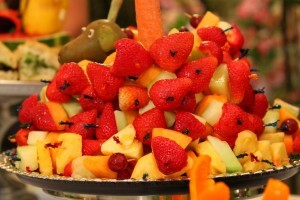 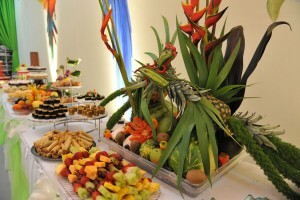 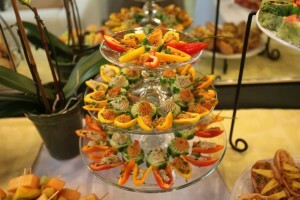 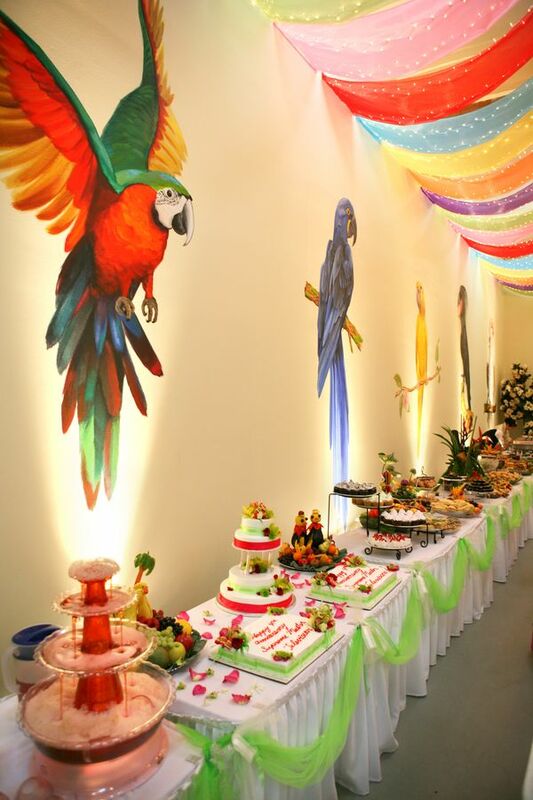 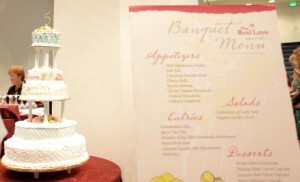 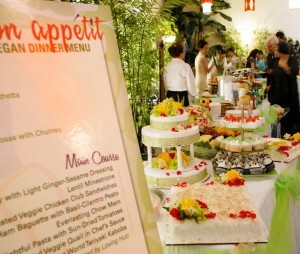 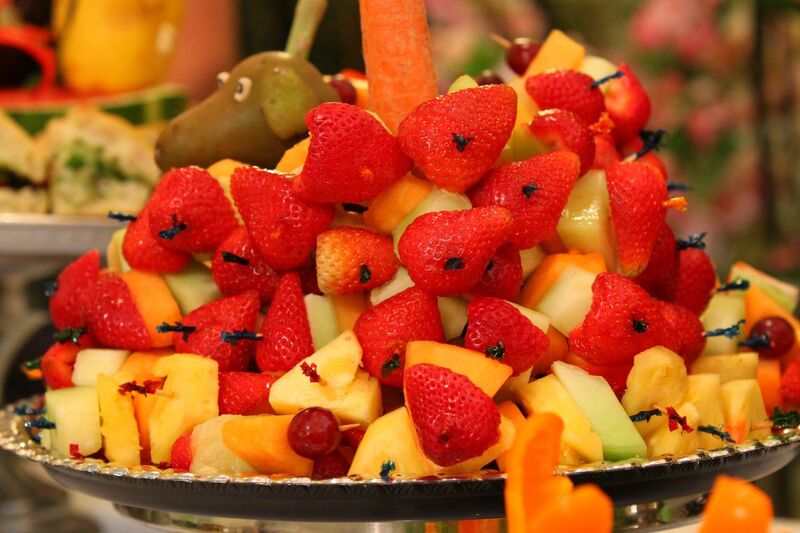 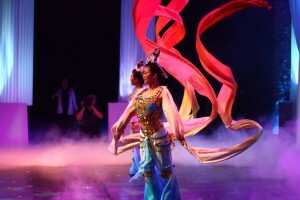 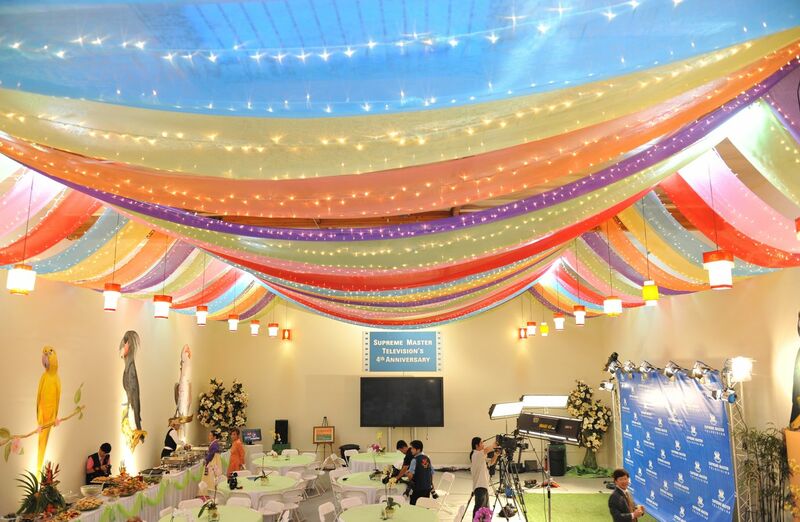 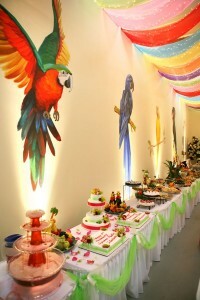 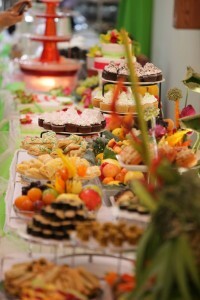 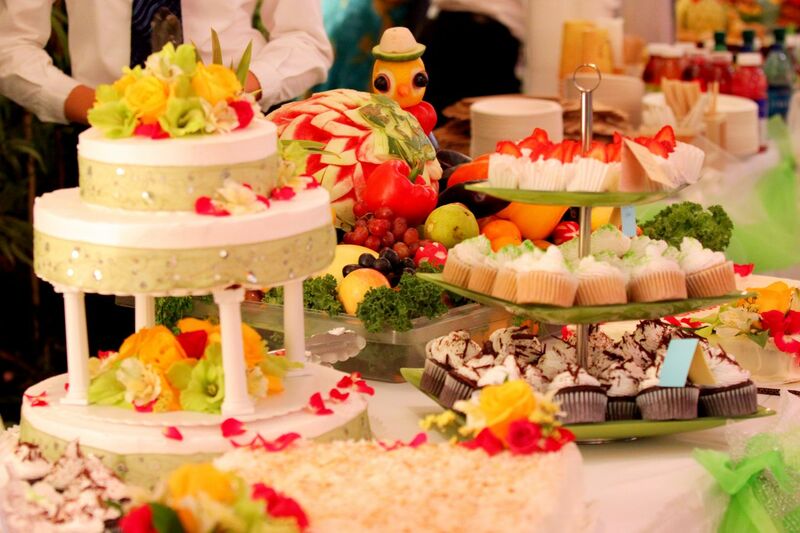 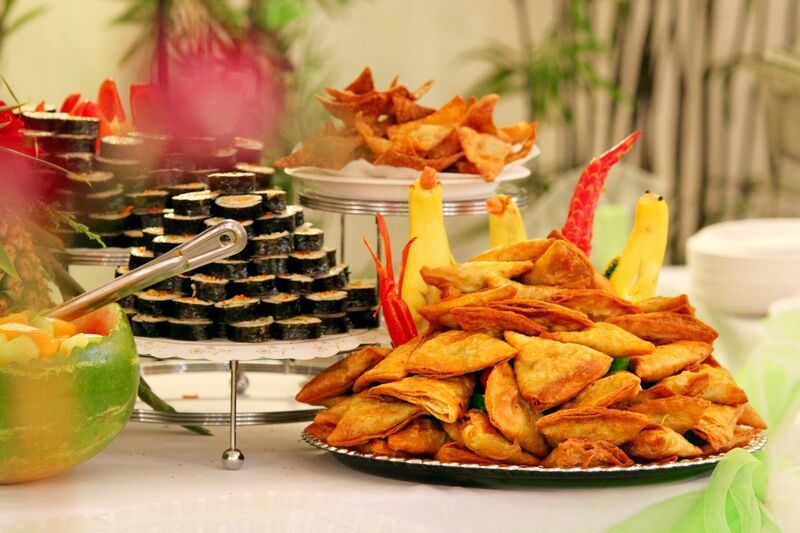 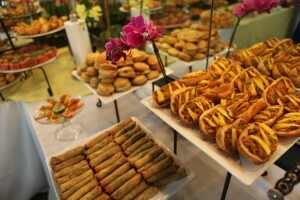 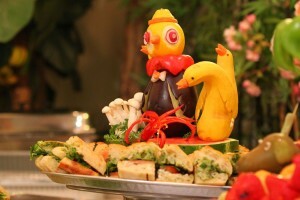 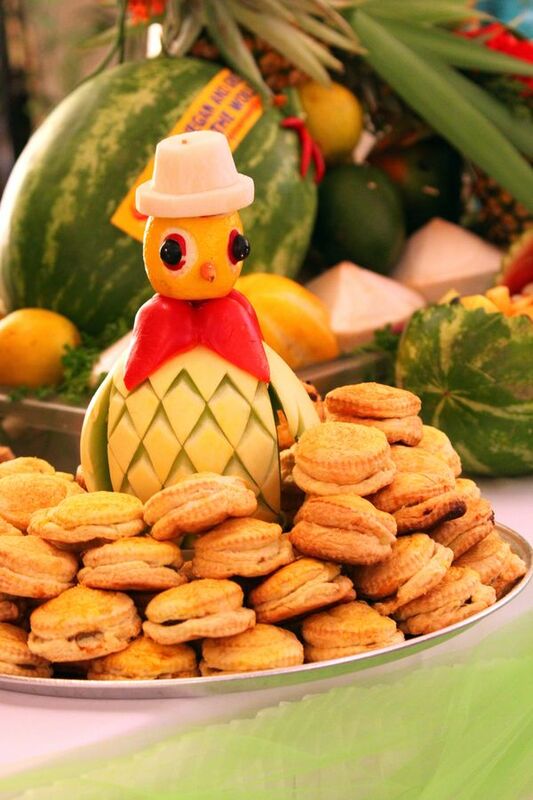 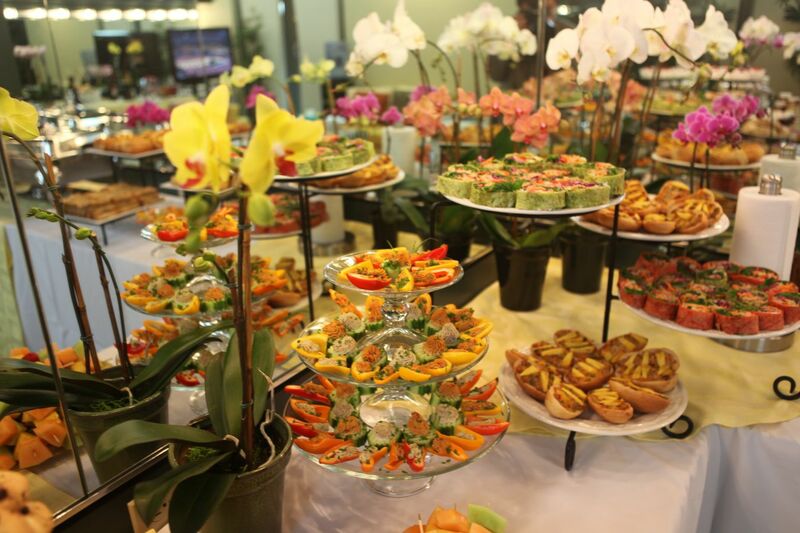 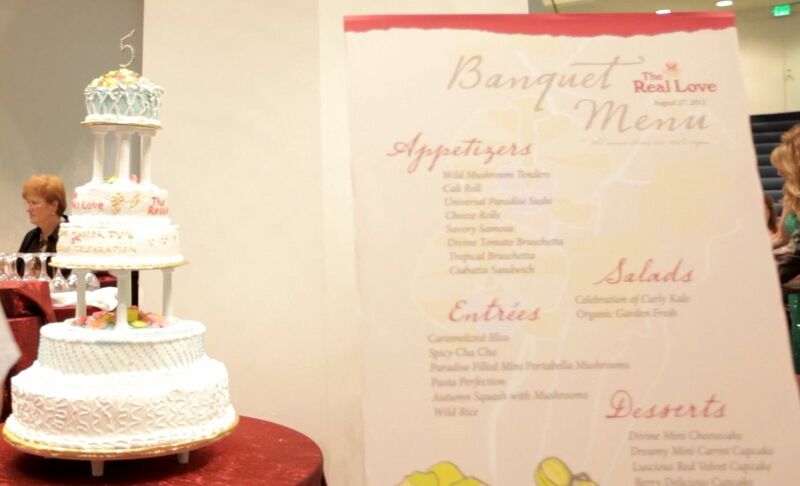 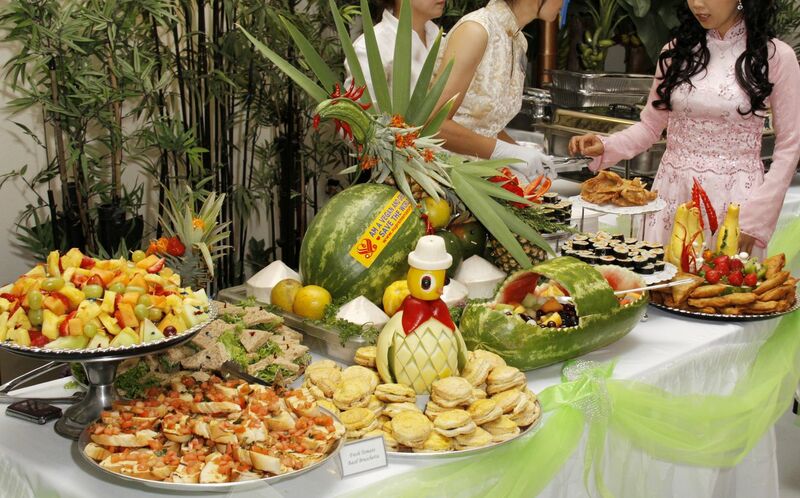 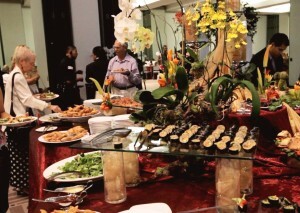 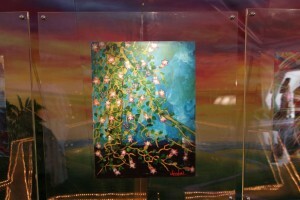 This buffet-style vegan banquet had a unique poetic touch befitting the event’s romantic-artistic nature. 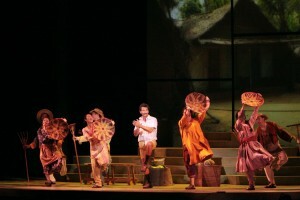 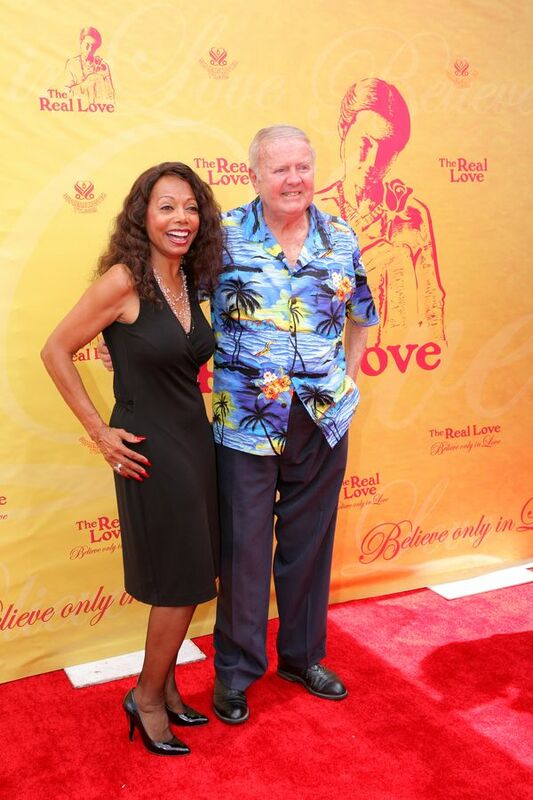 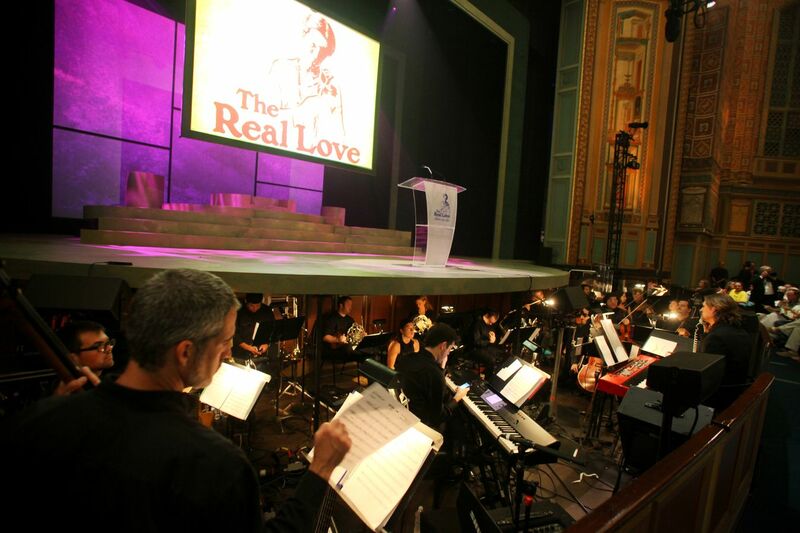 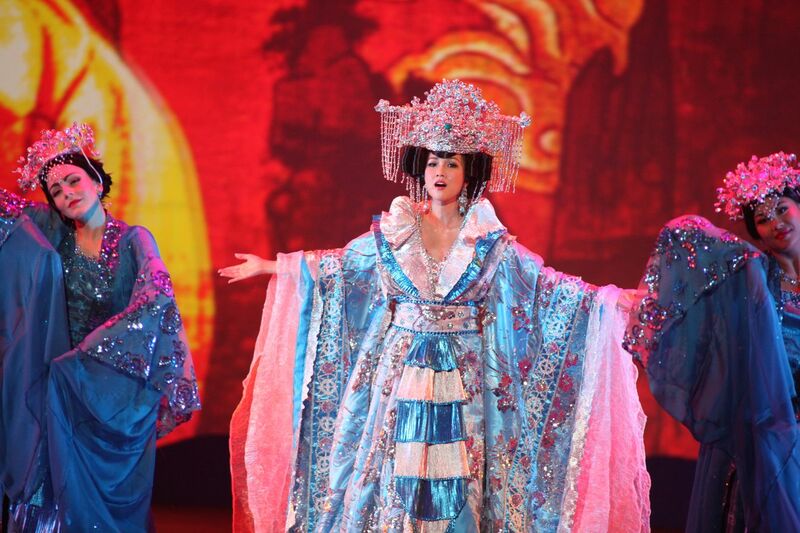 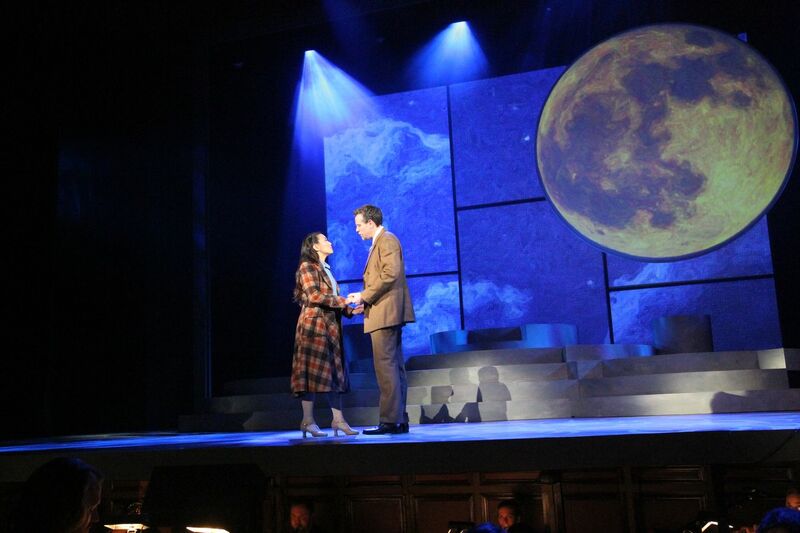 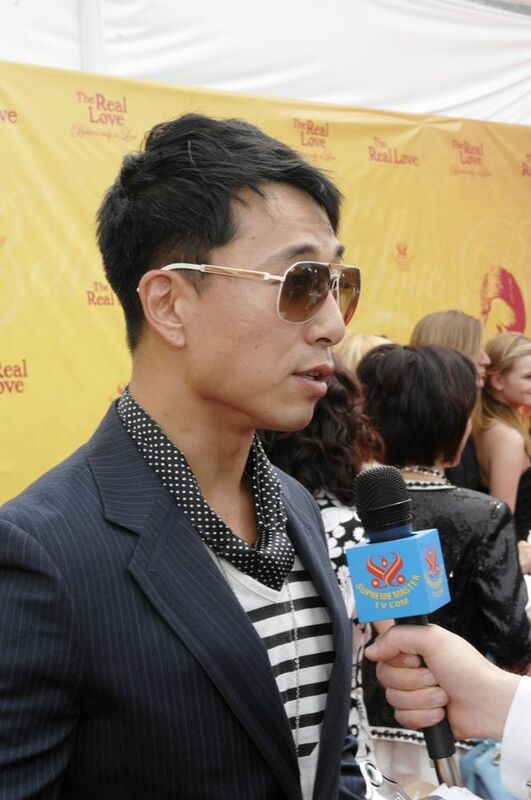 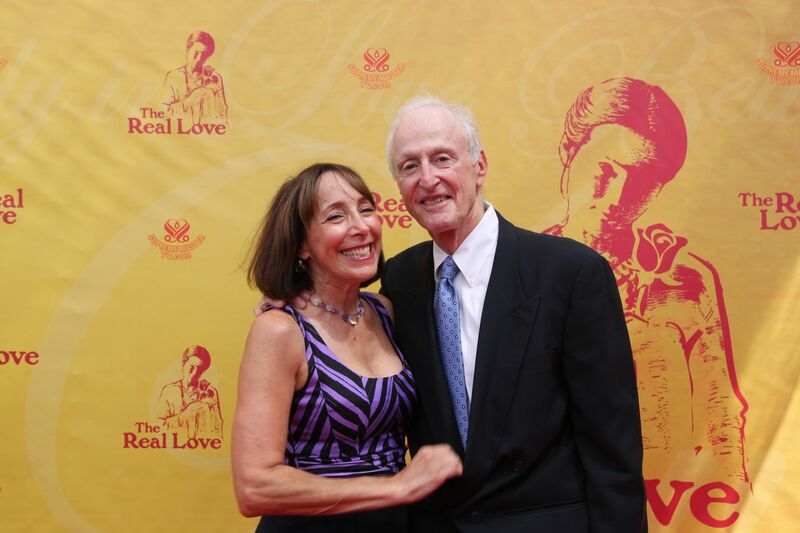 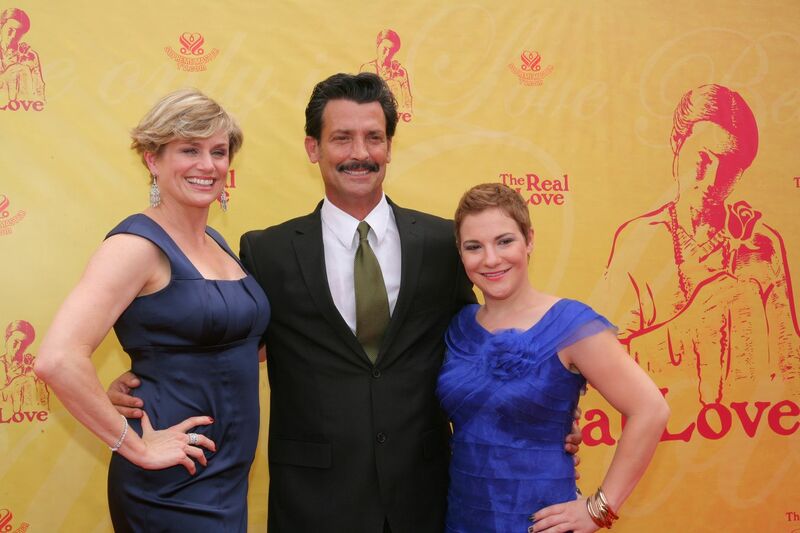 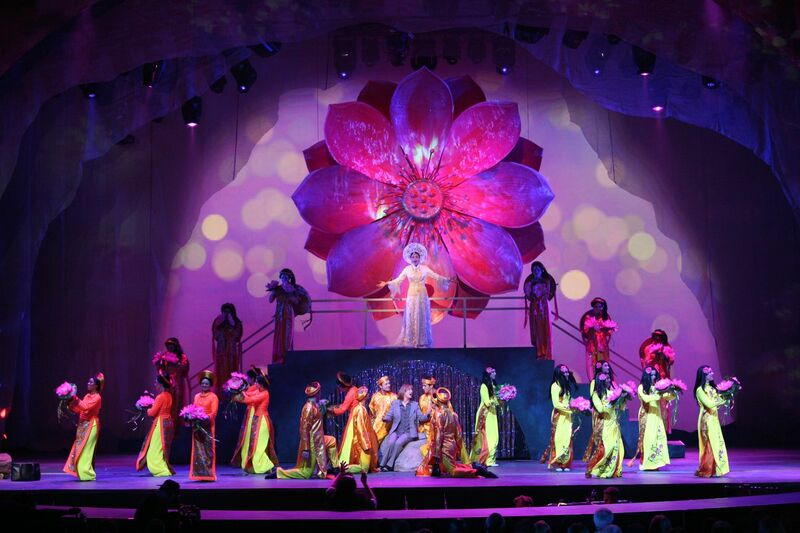 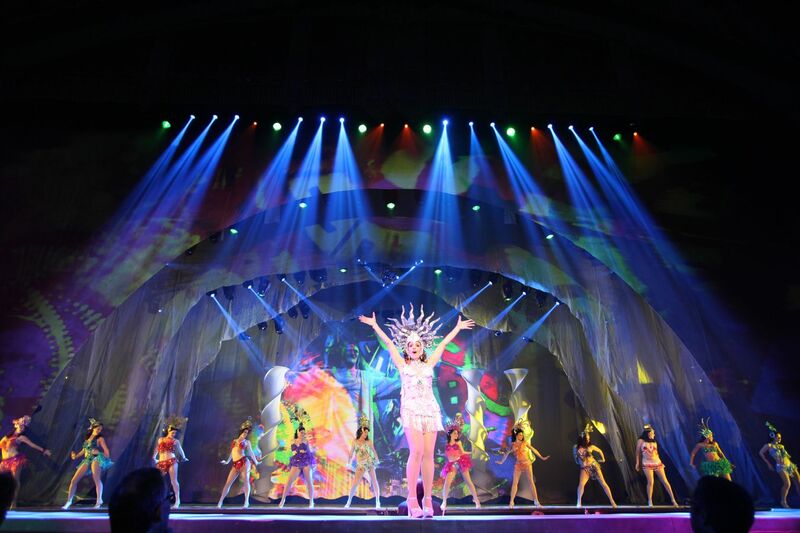 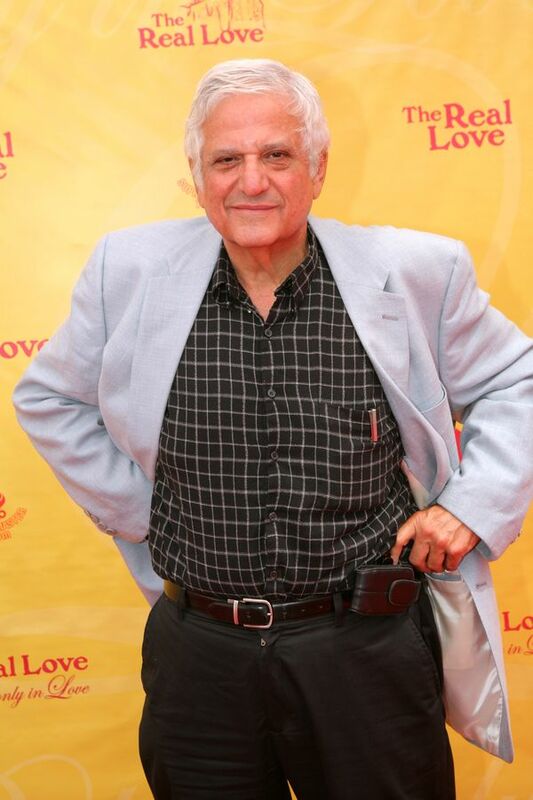 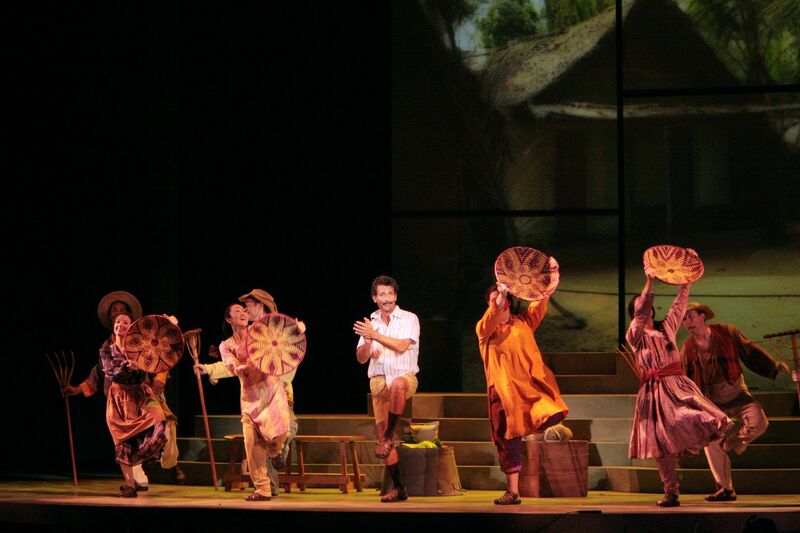 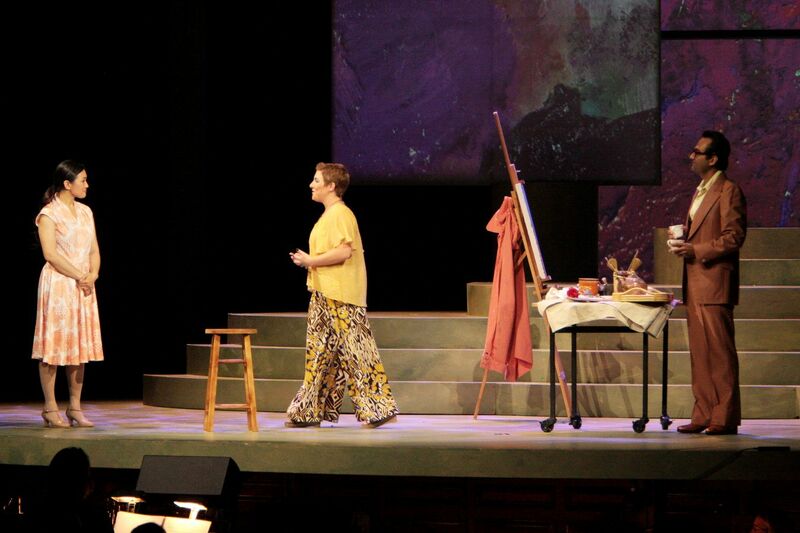 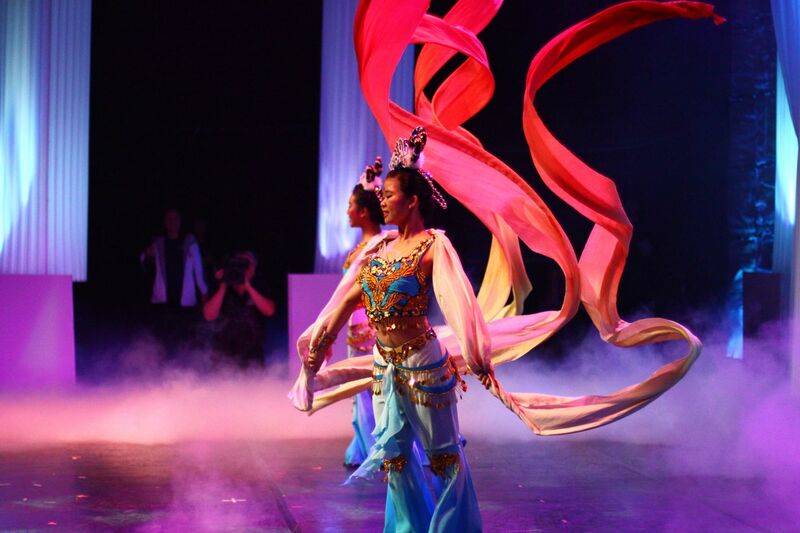 One Veg World was honored to cater vegan food for the world premiere of the Broadway-style musical “The Real Love,” inspired by the true story of world-renowned spiritual teacher, animal-loving humanitarian, poet and artist Supreme Master Ching Hai. 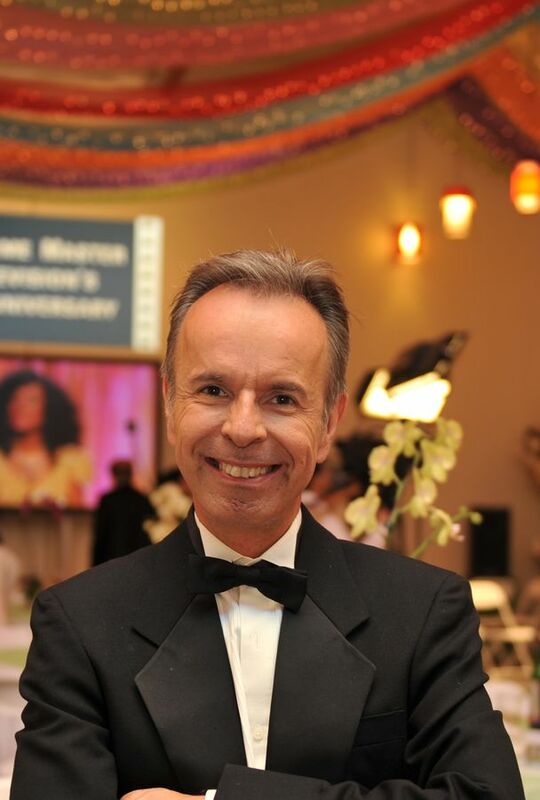 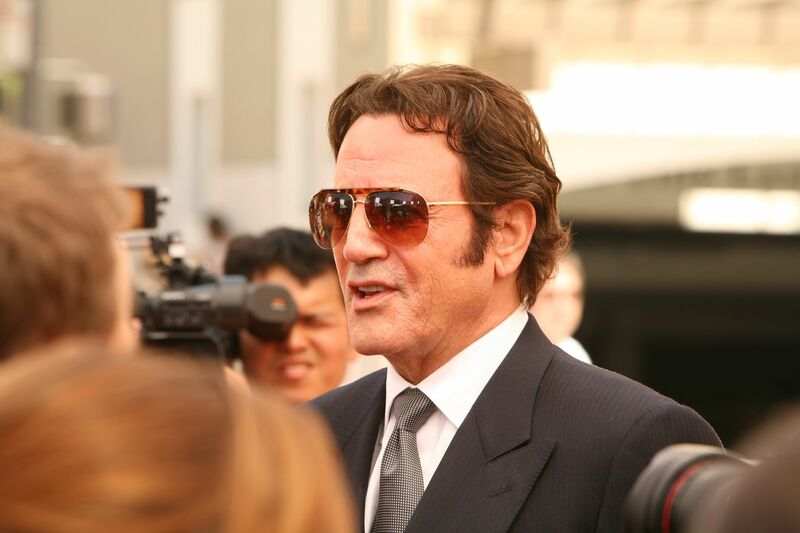 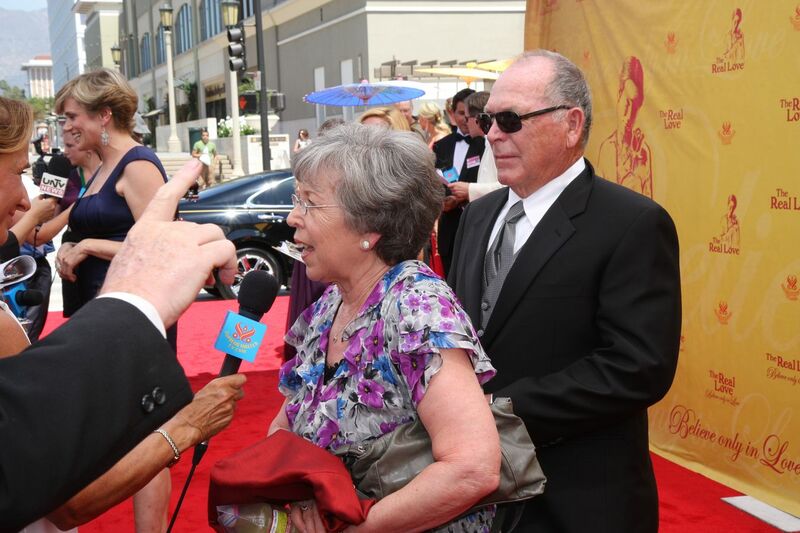 This sold-out red carpet event at the Pasadena Civic Auditorium was full of stars, both onstage and in the audience. 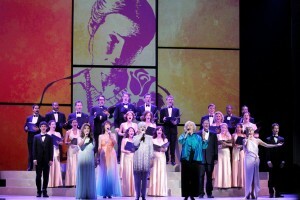 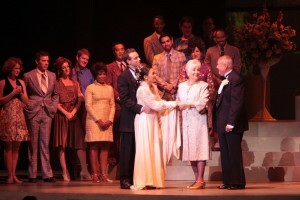 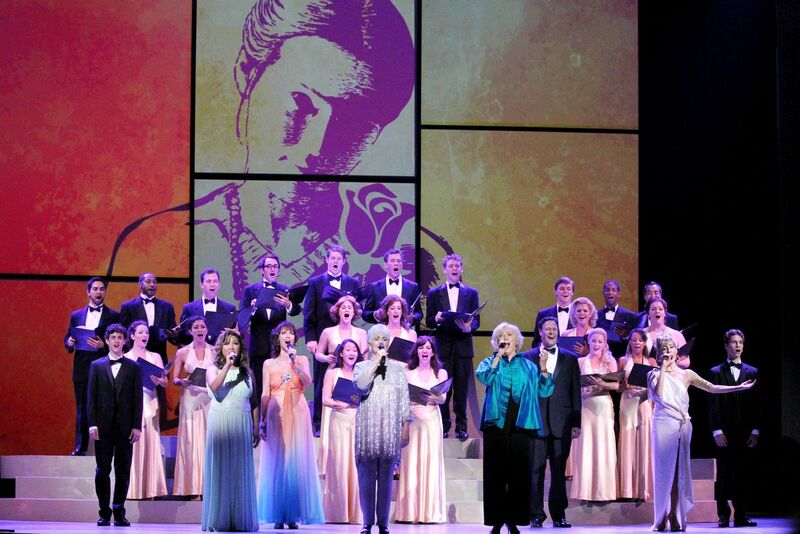 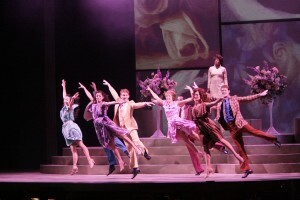 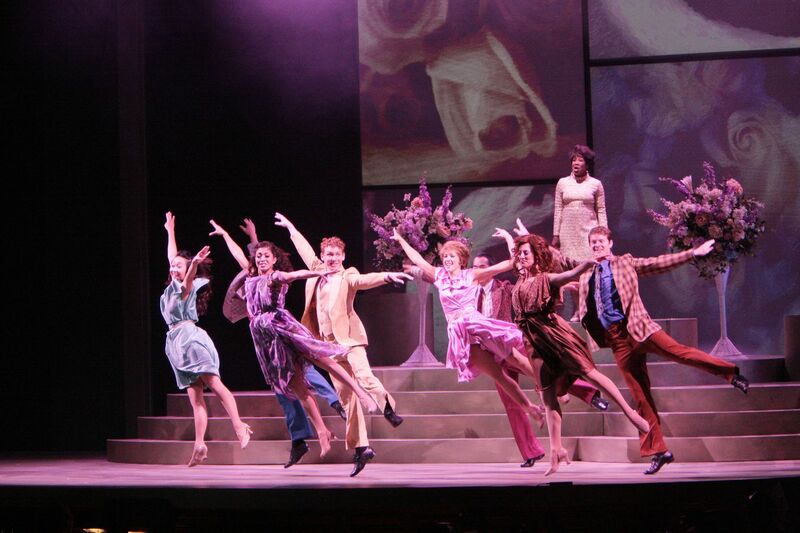 The cast included Broadway stars Cady Huffman (“The Producers”), Adam Pascal (“Rent”), Kristin Bauer (“True Blood”), Elaine Hendrix (“The Parent Trap”), Betty Buckley (“Cats”), and many, many more. 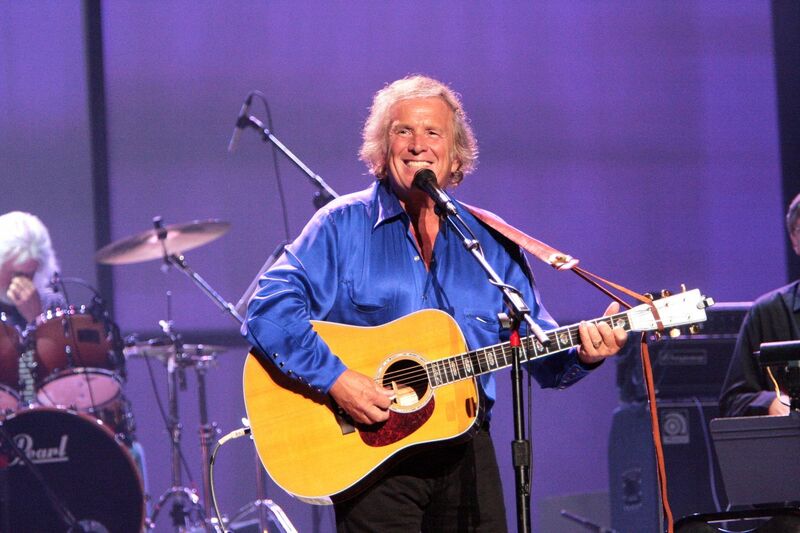 American icon Don McLean also performed. 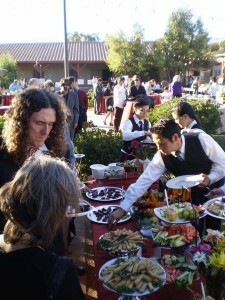 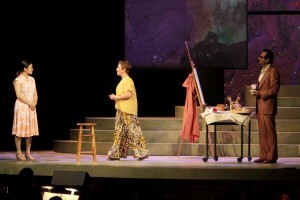 The festive after-show vegan feast was a hit and a tribute to the musical’s universal theme of love.